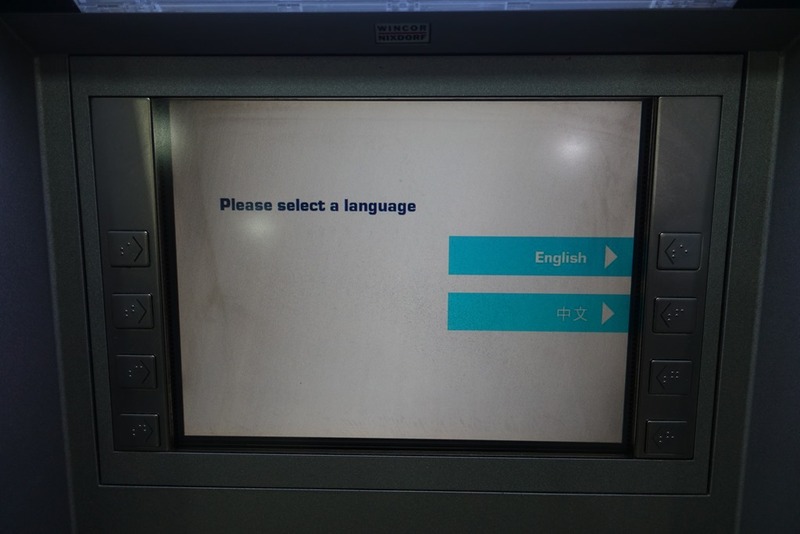 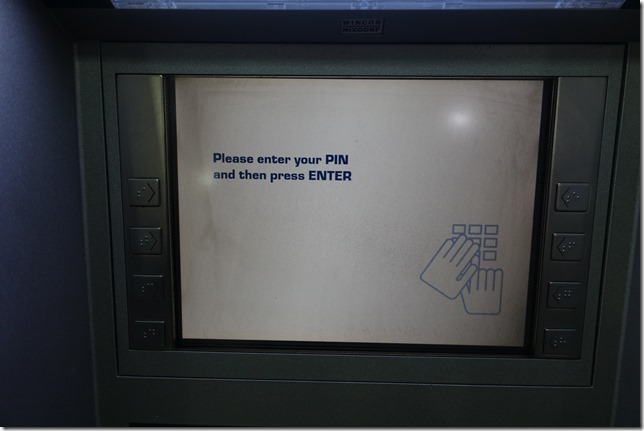 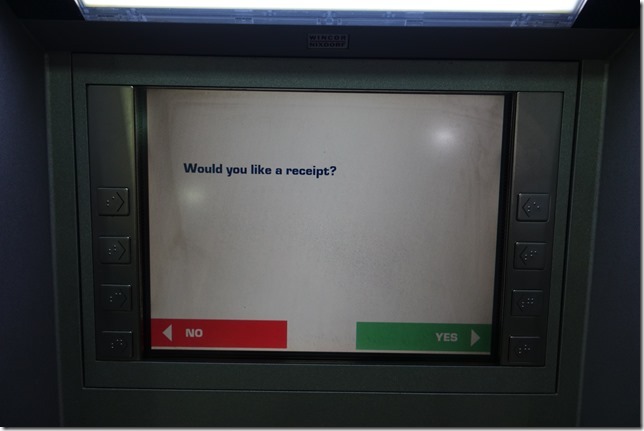 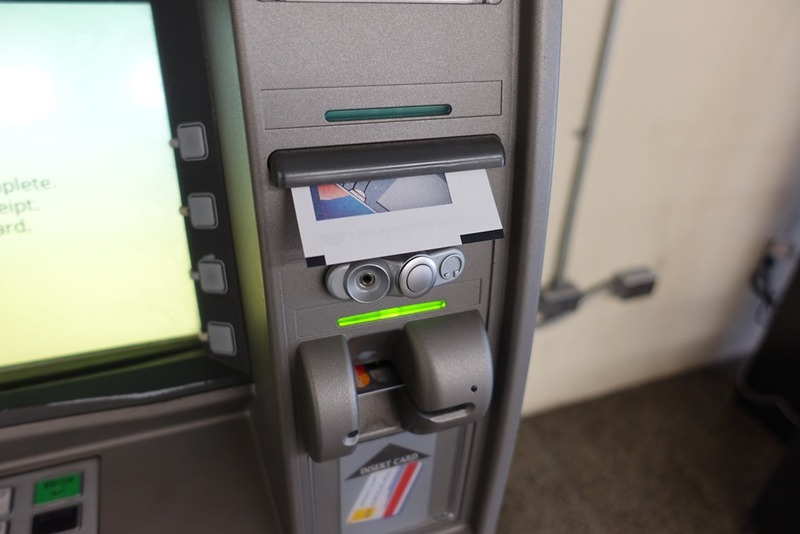 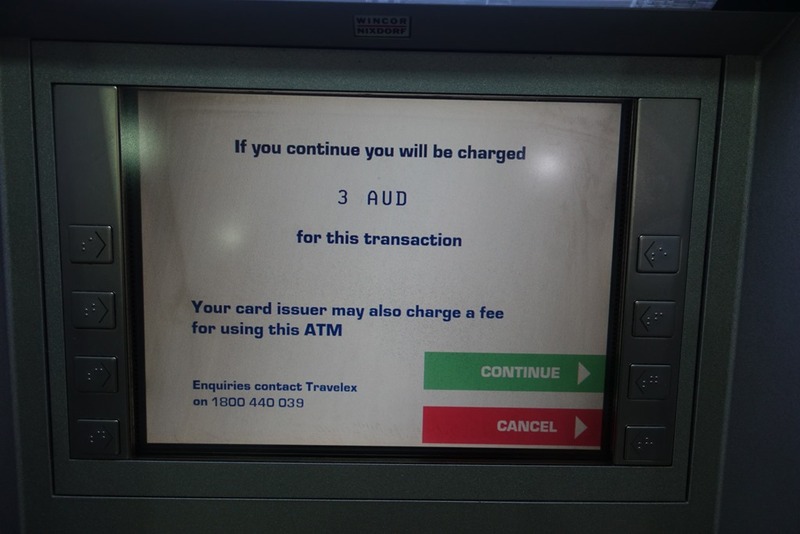 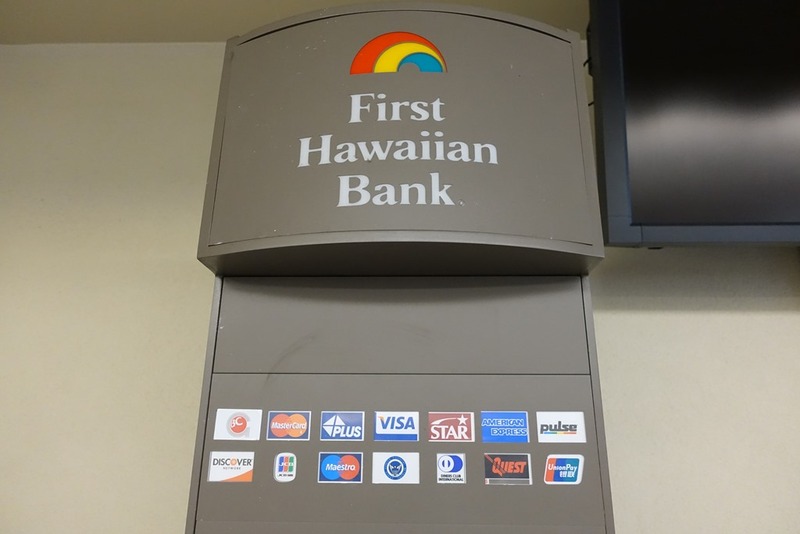 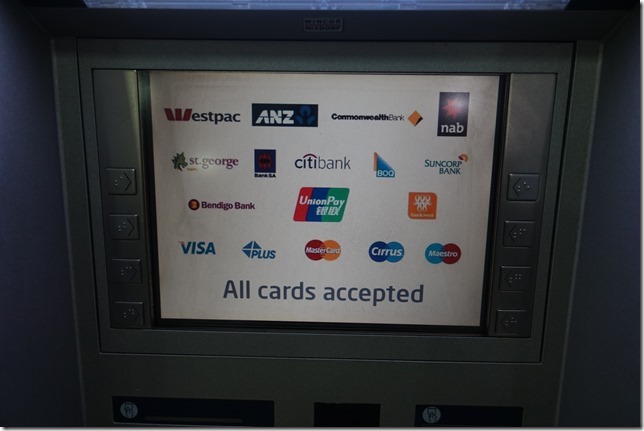 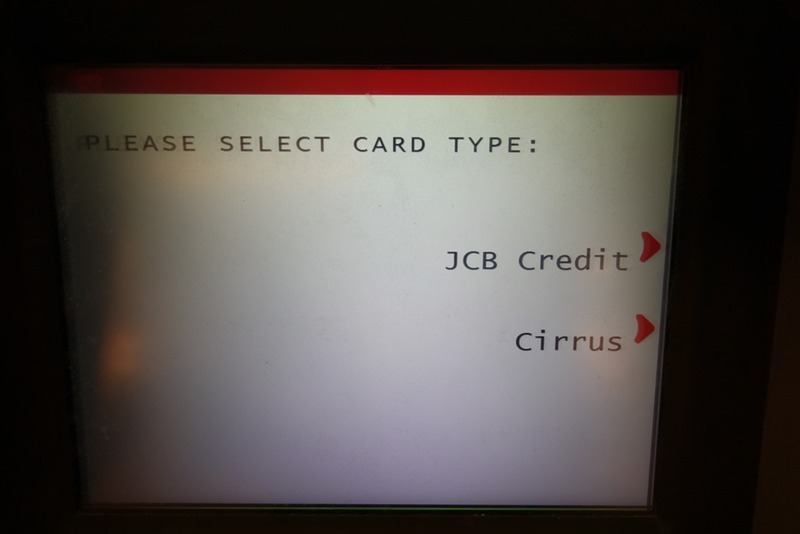 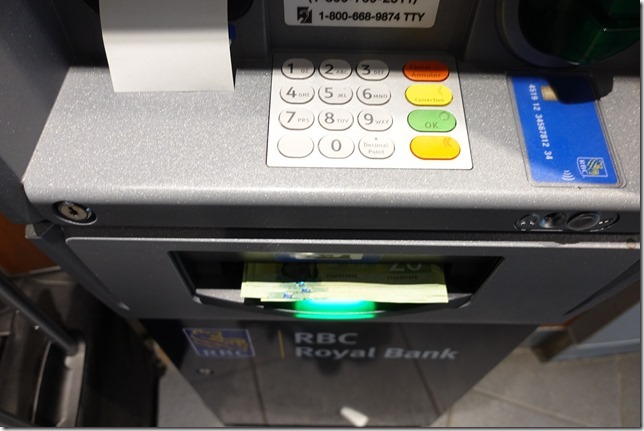 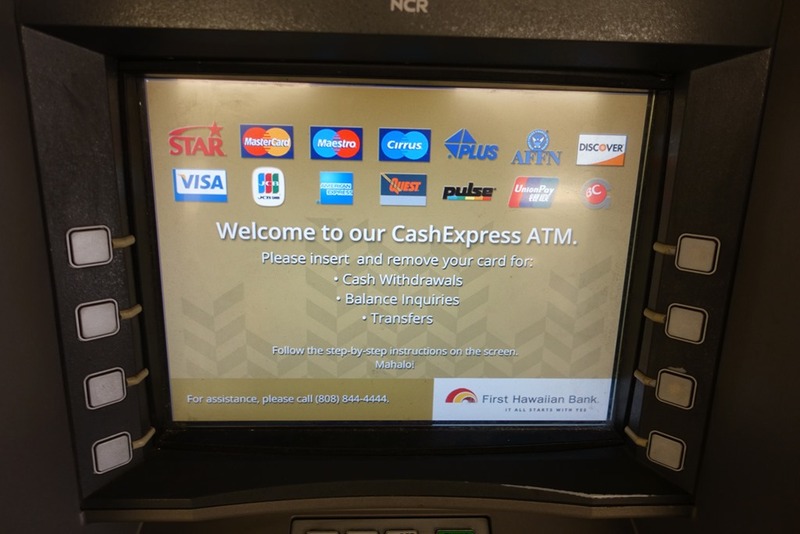 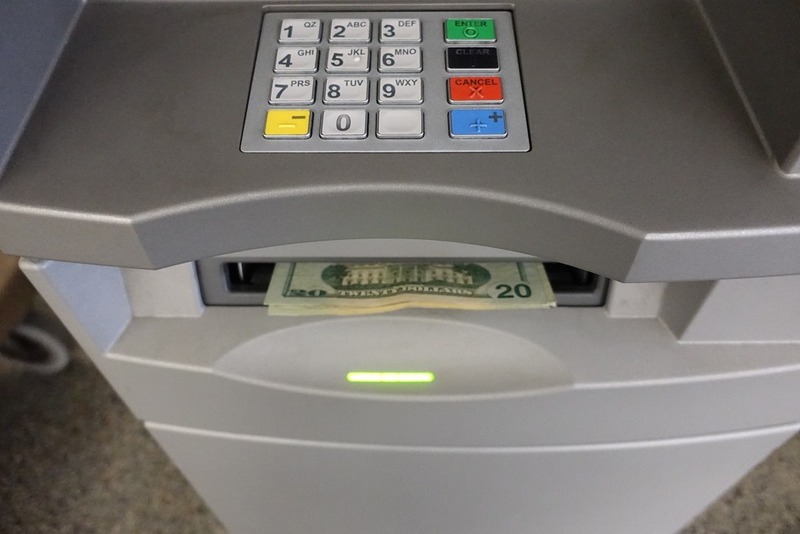 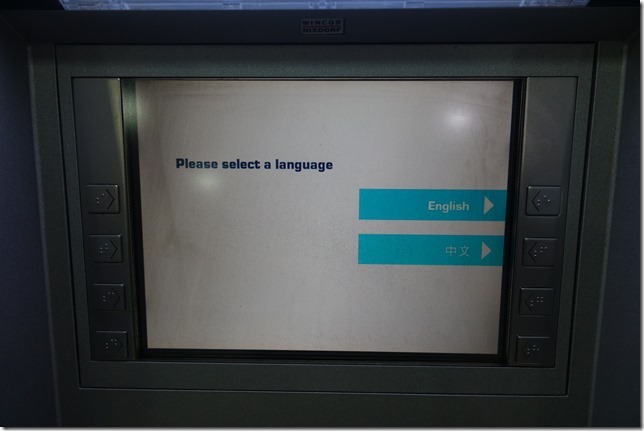 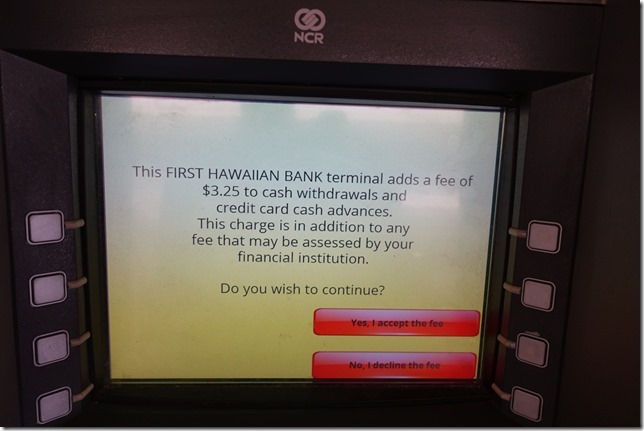 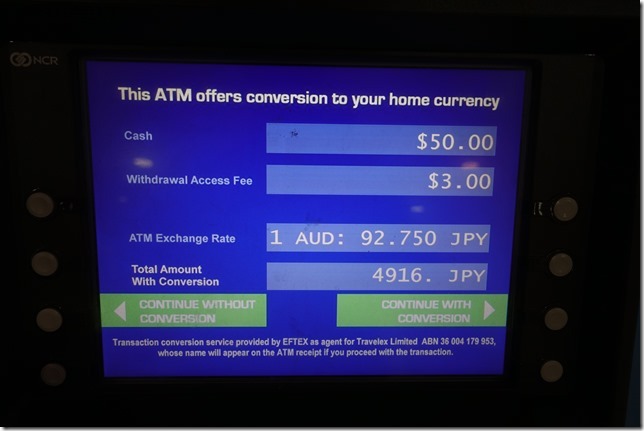 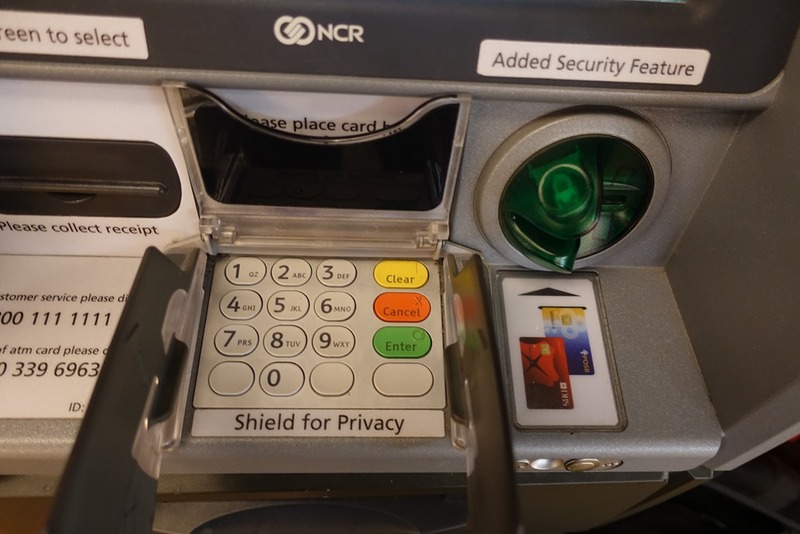 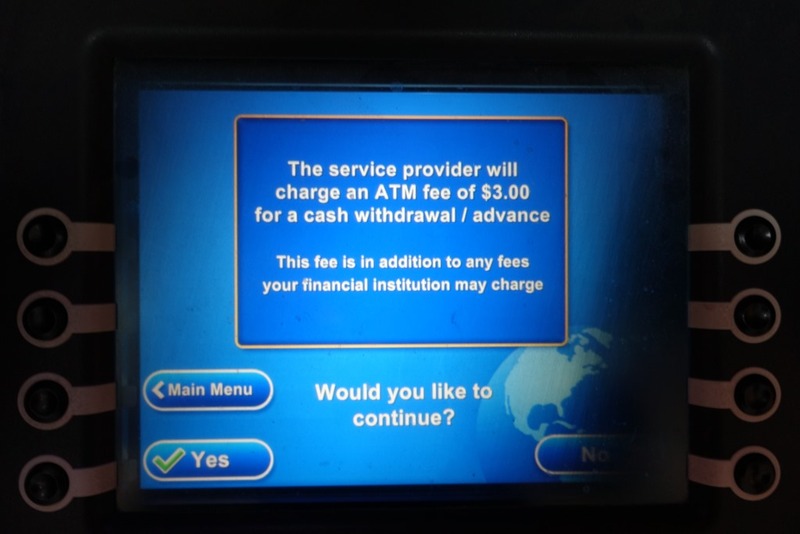 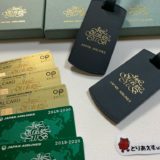 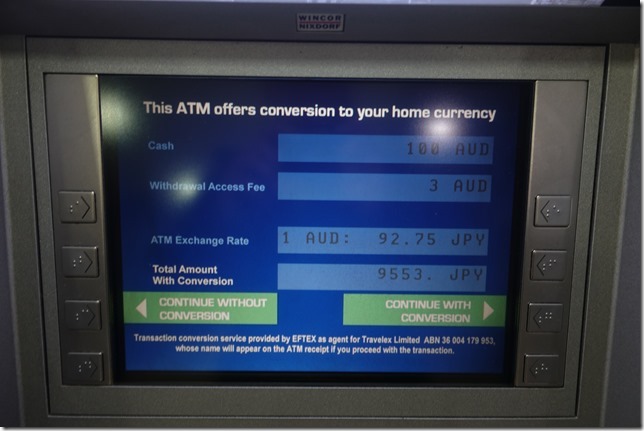 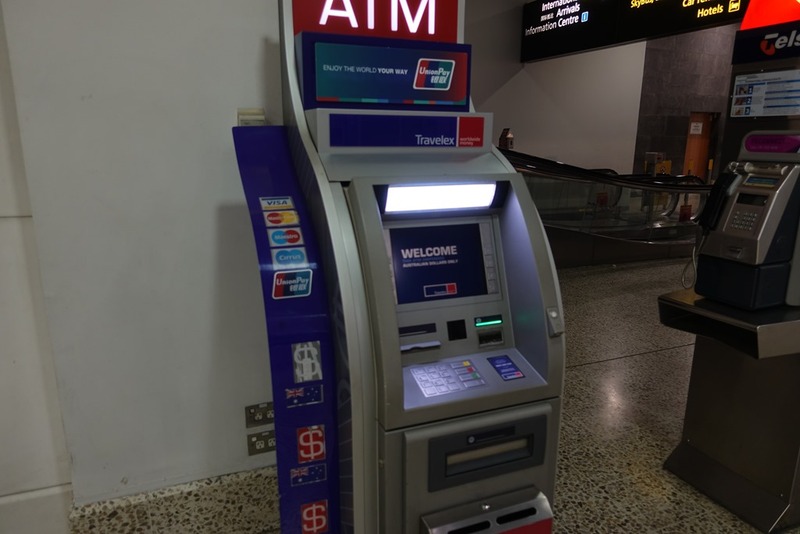 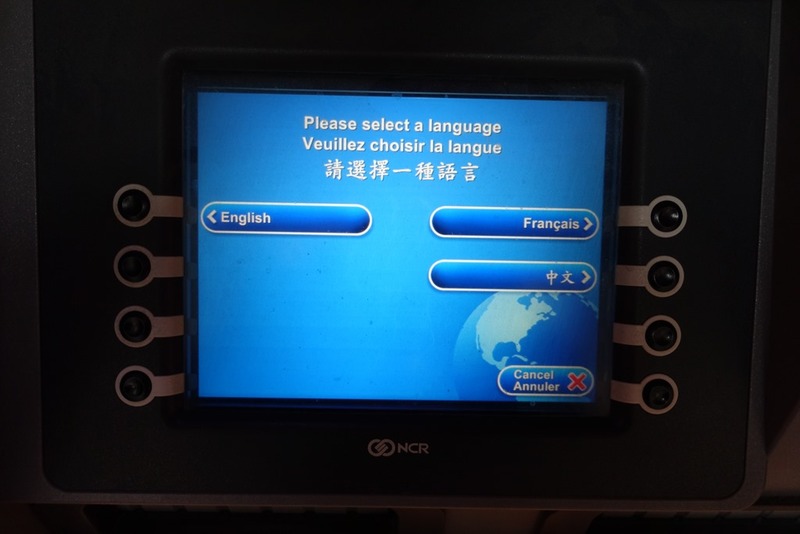 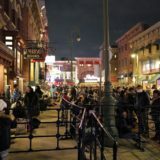 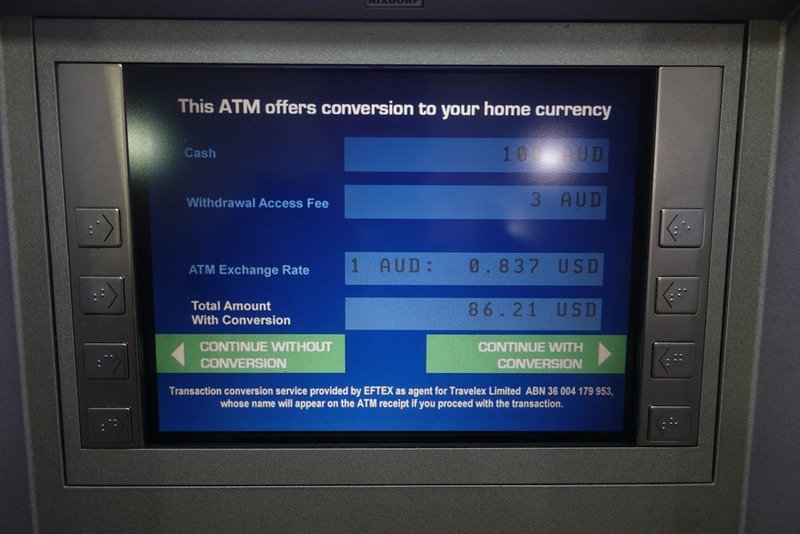 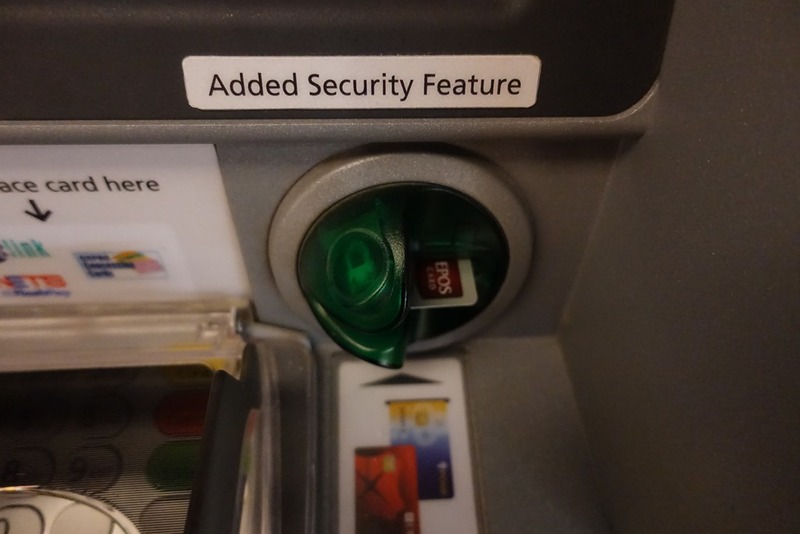 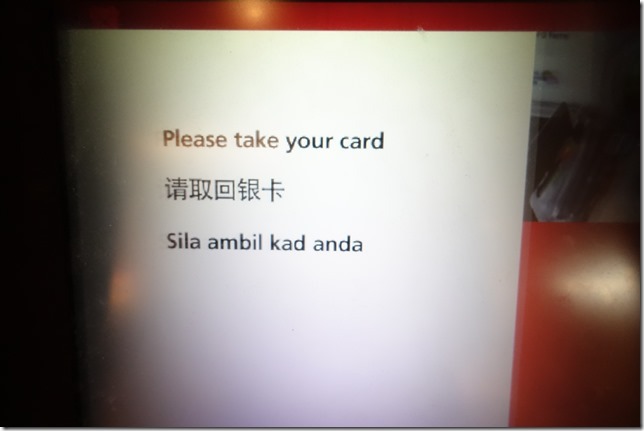 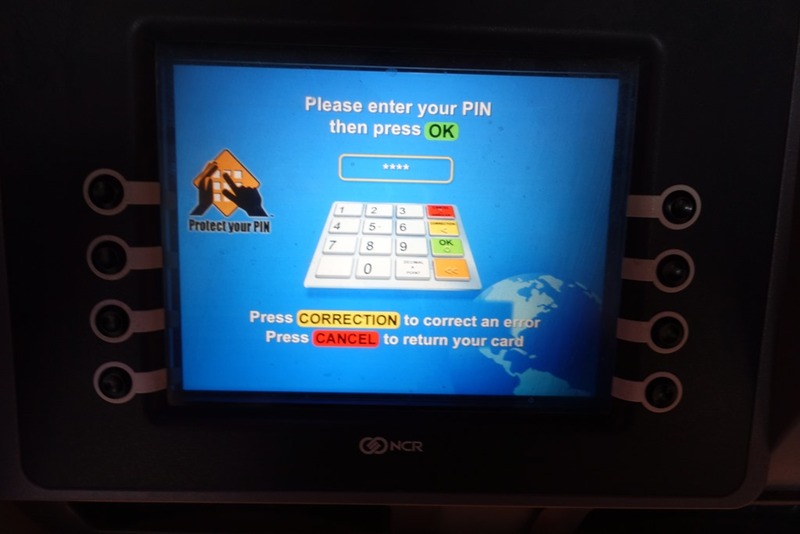 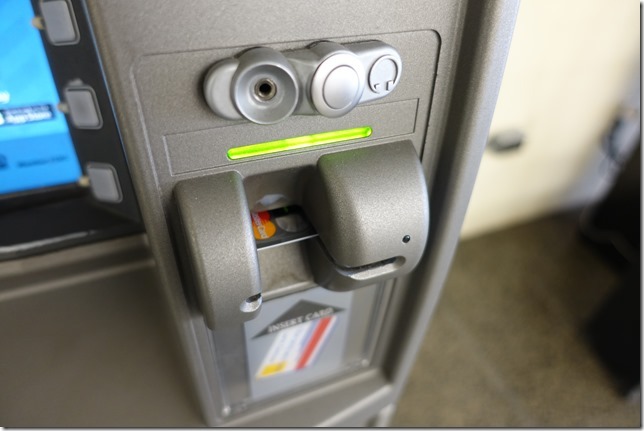 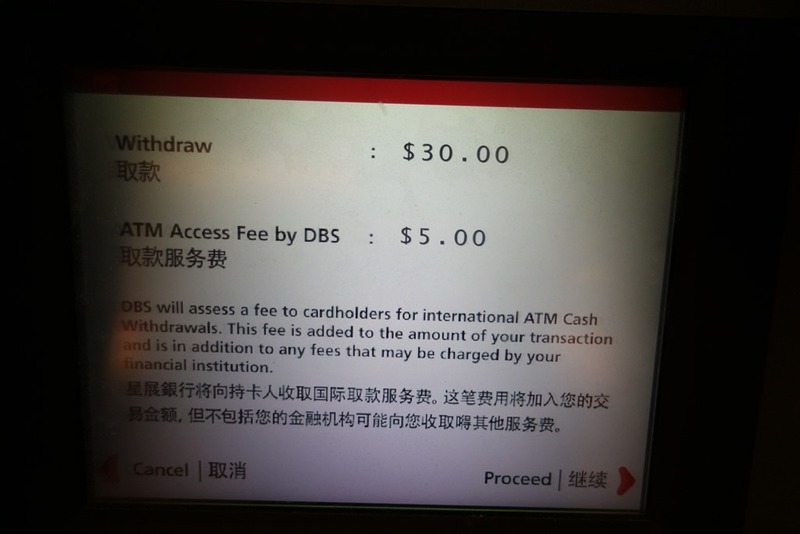 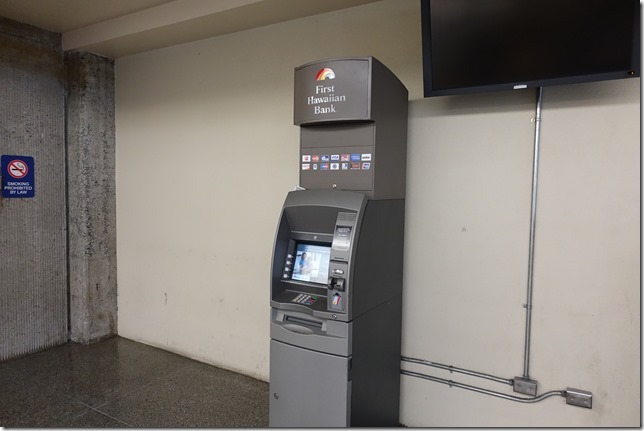 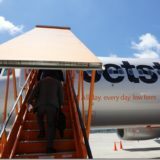 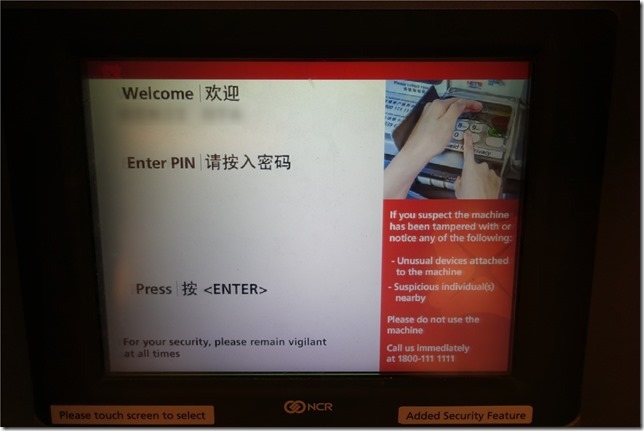 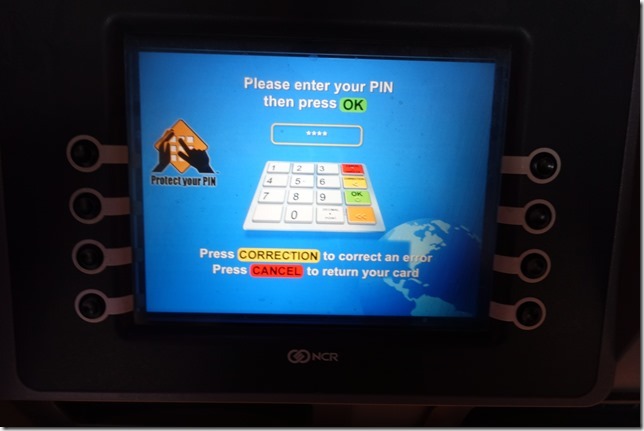 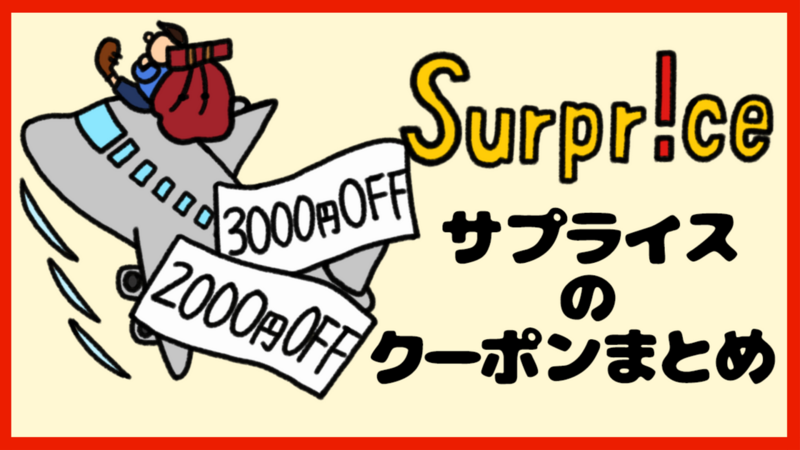 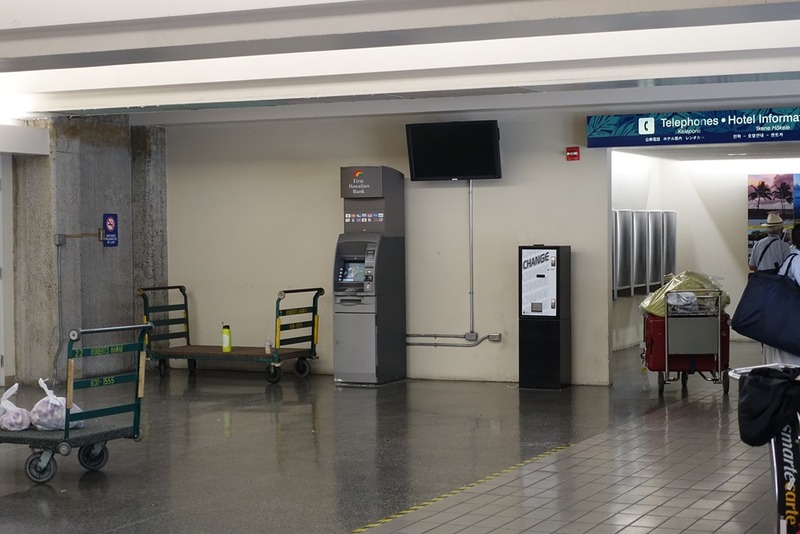 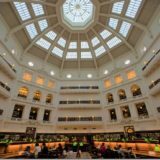 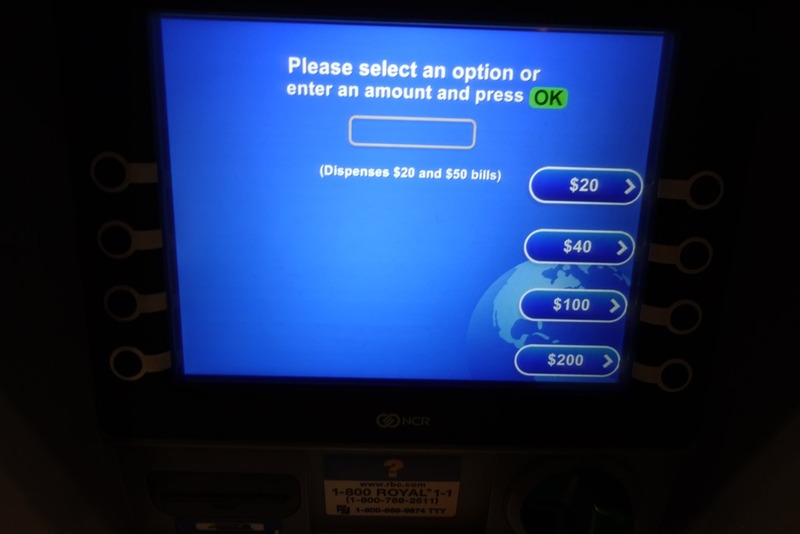 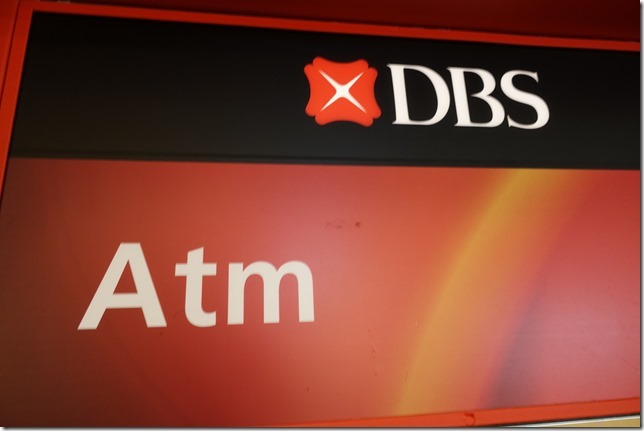 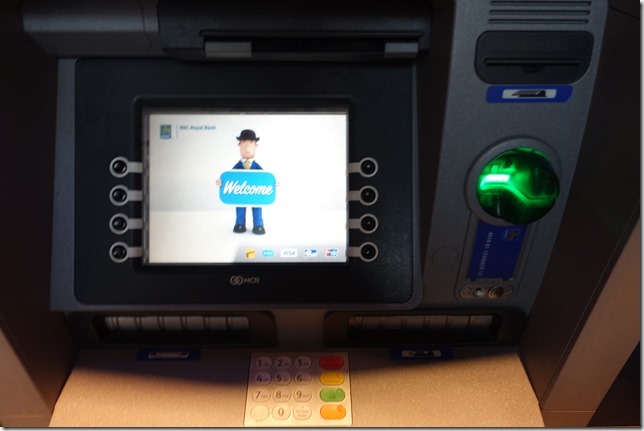 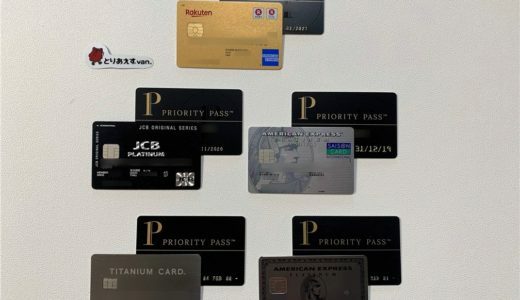 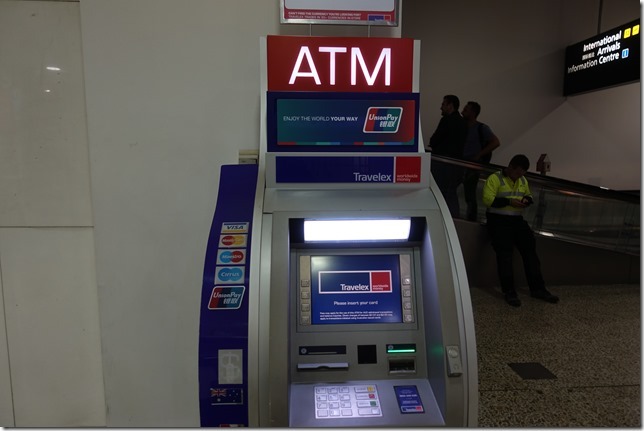 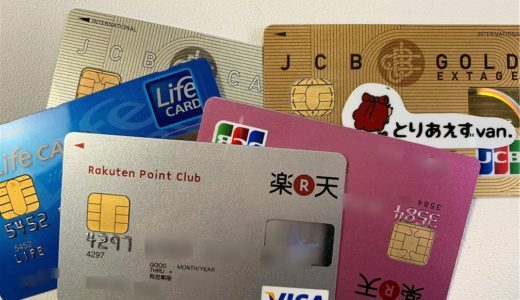 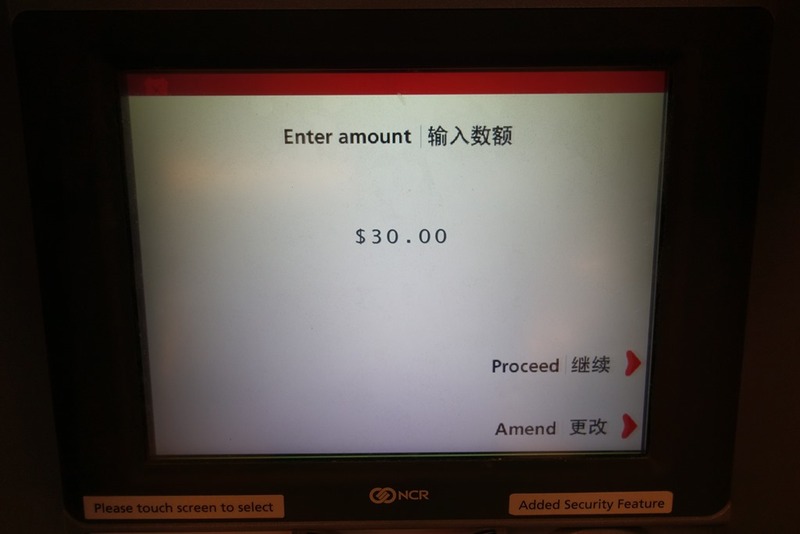 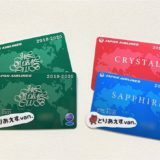 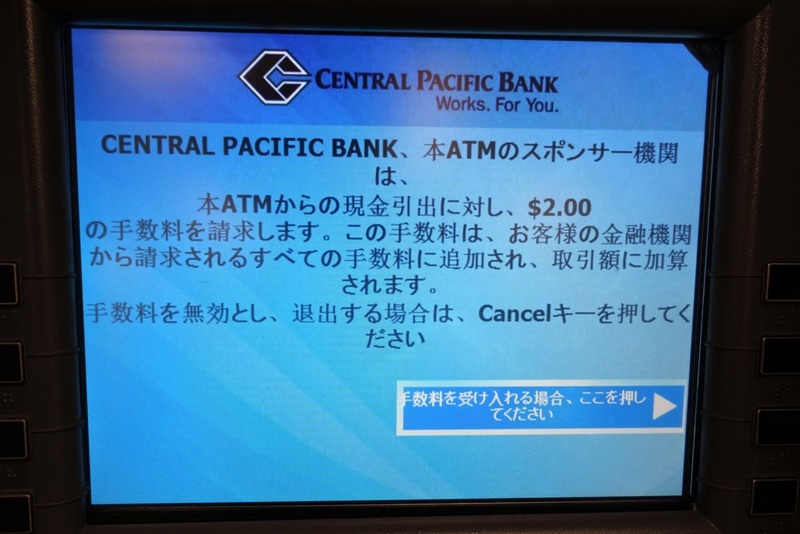 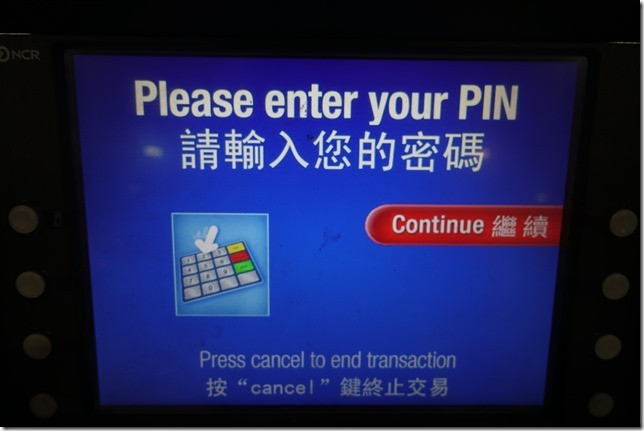 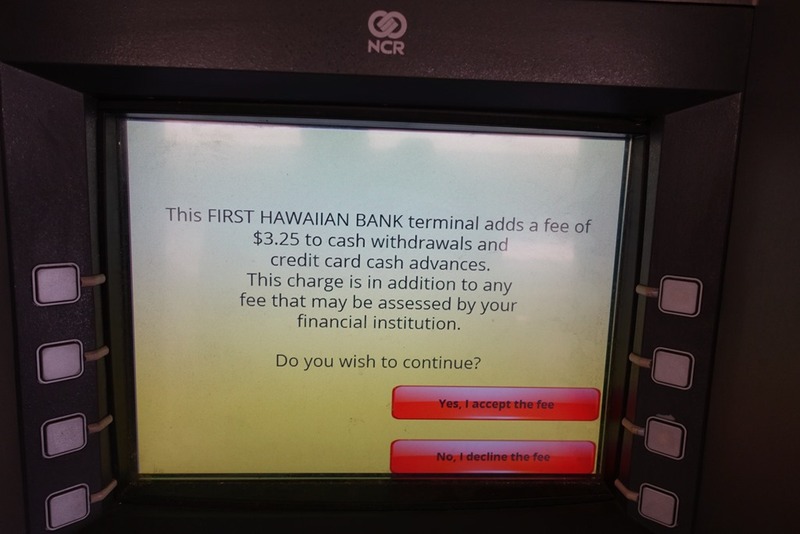 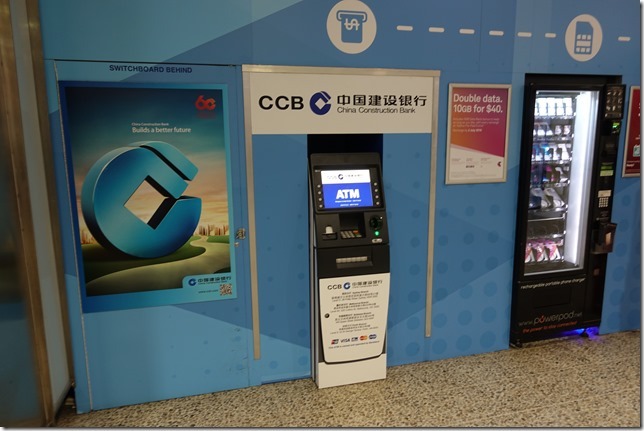 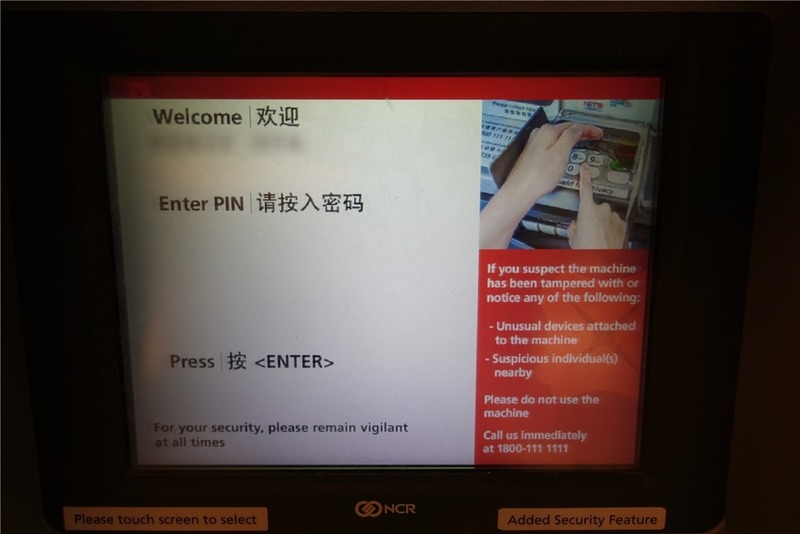 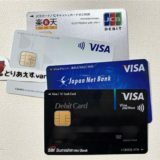 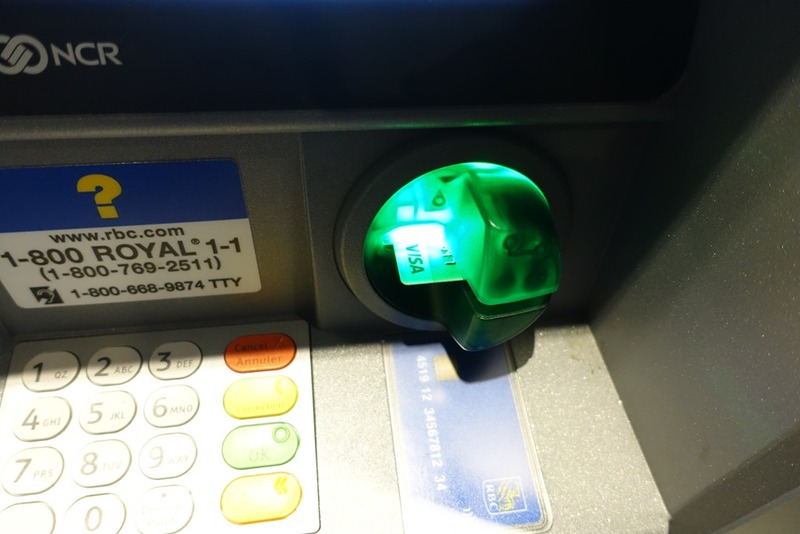 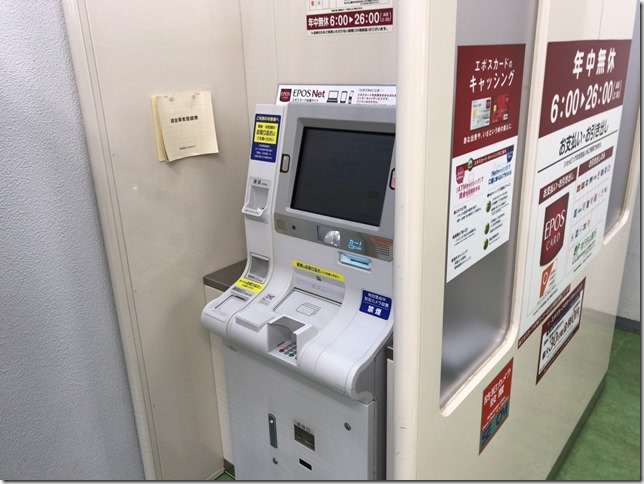 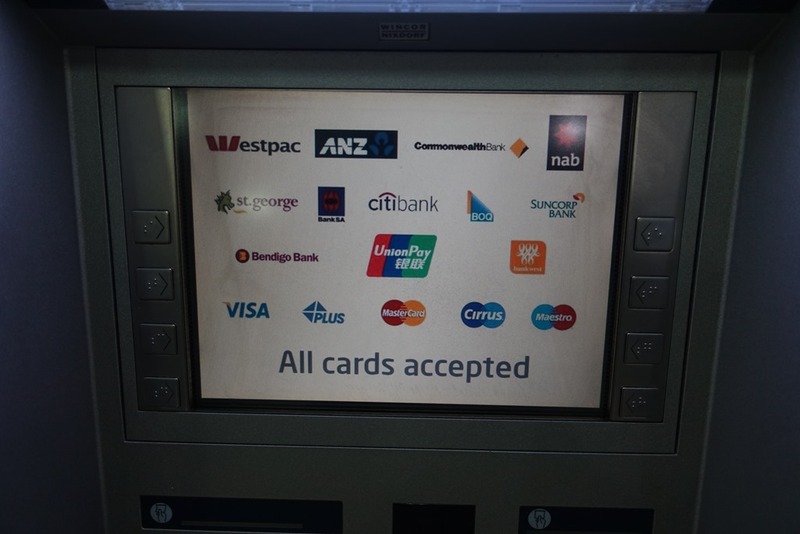 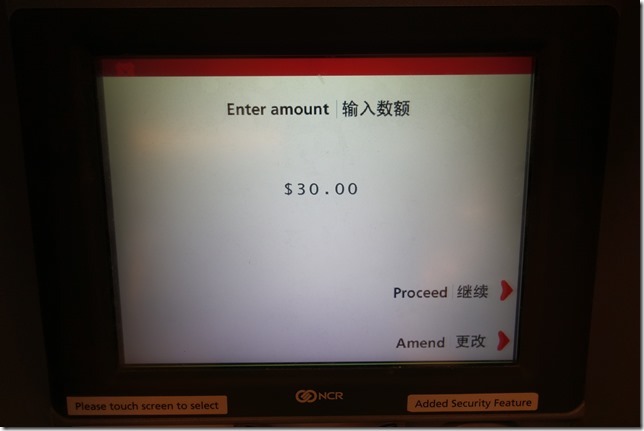 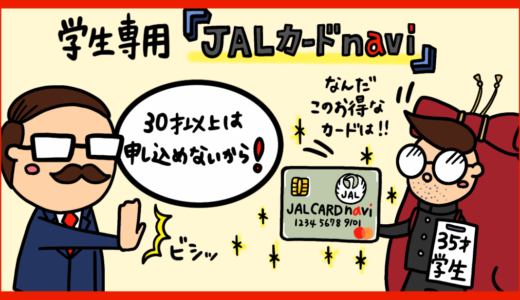 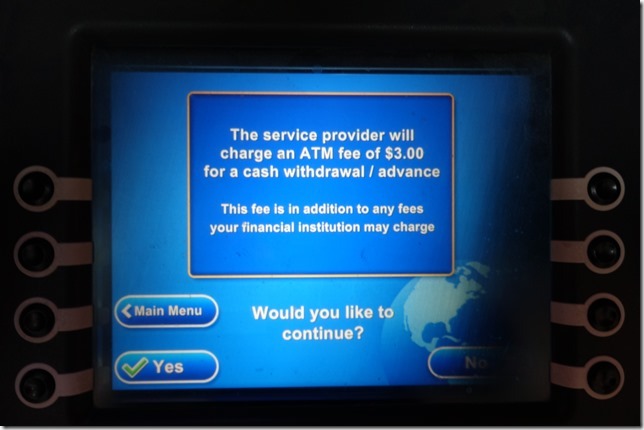 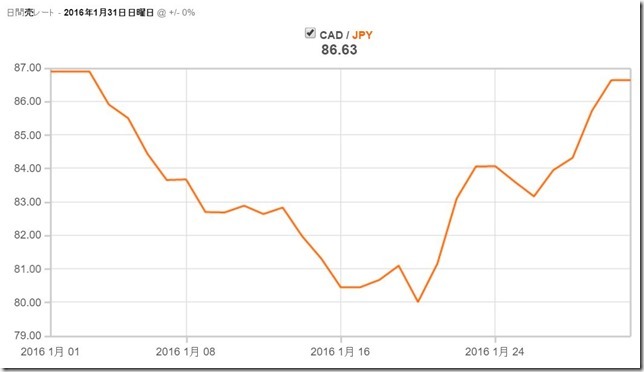 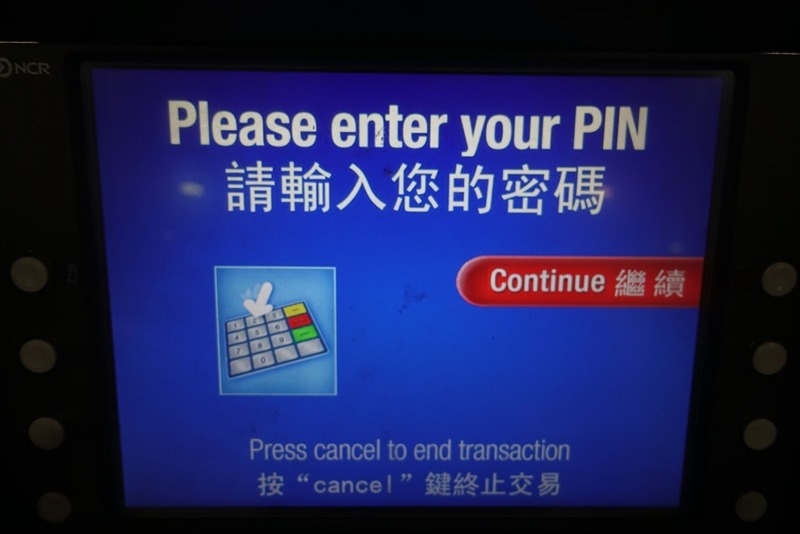 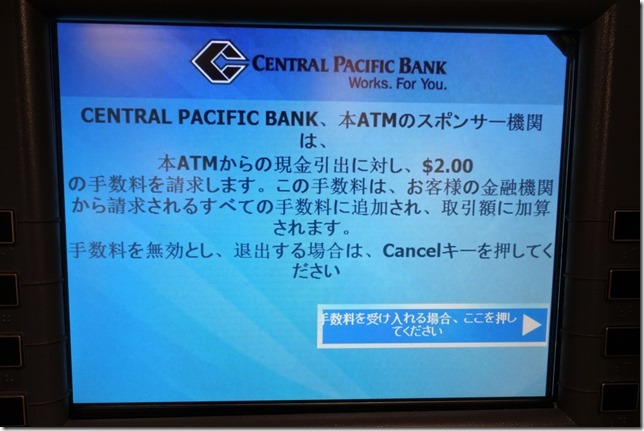 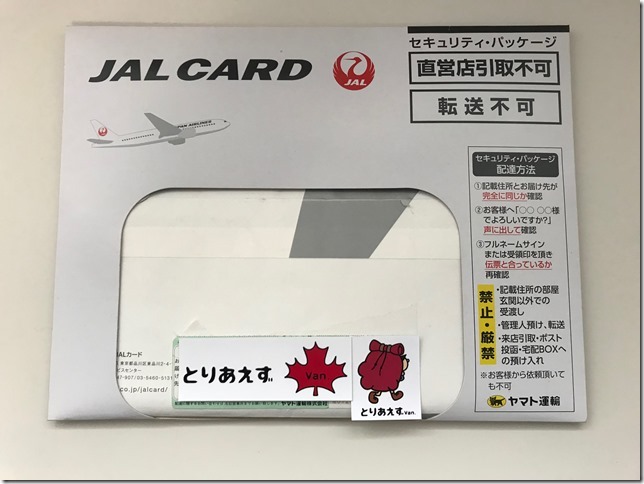 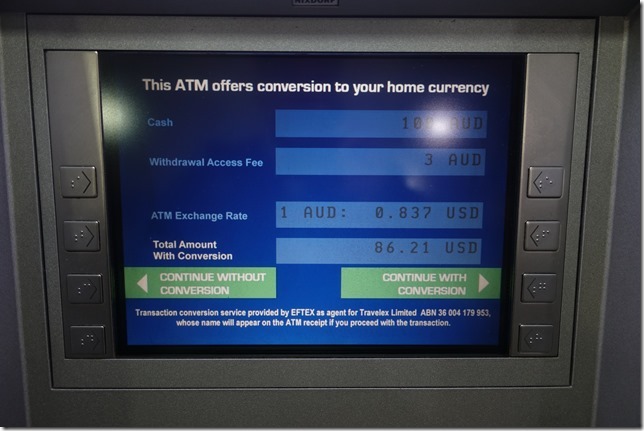 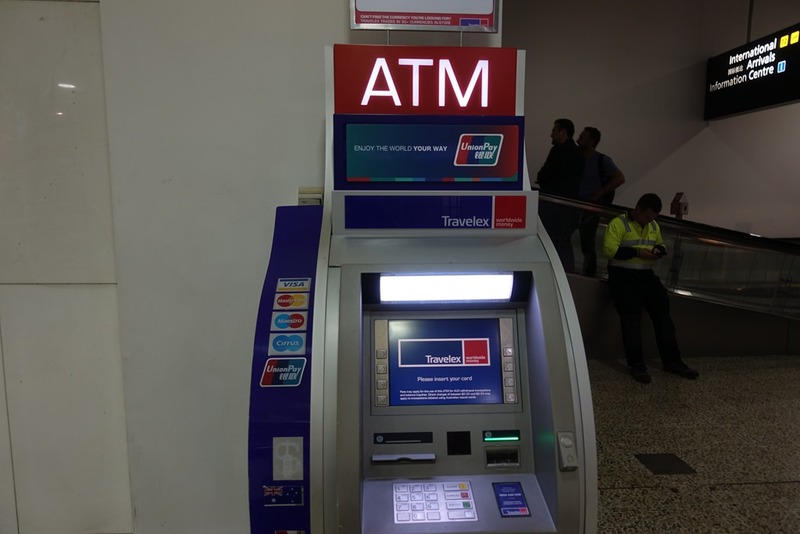 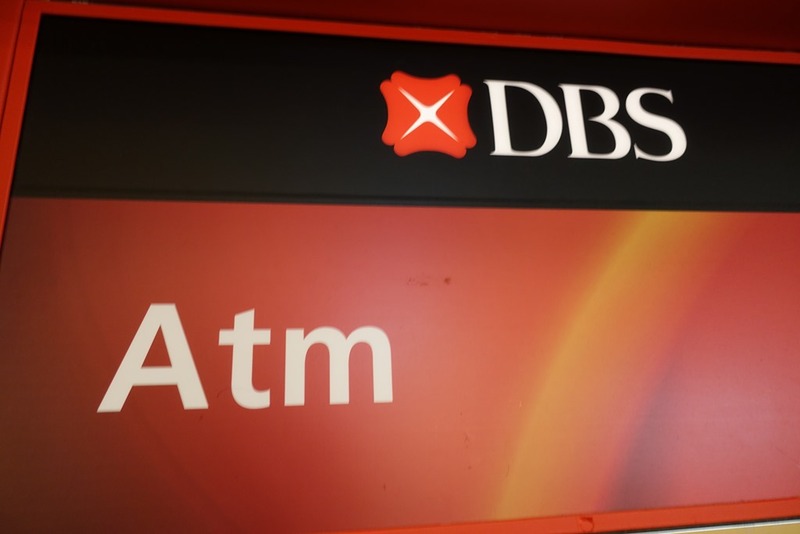 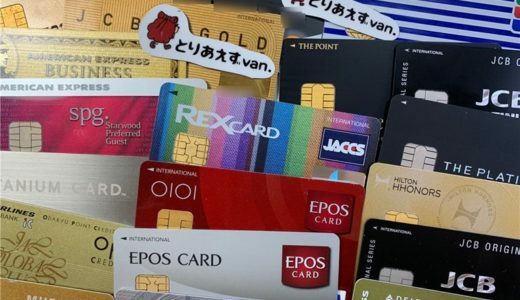 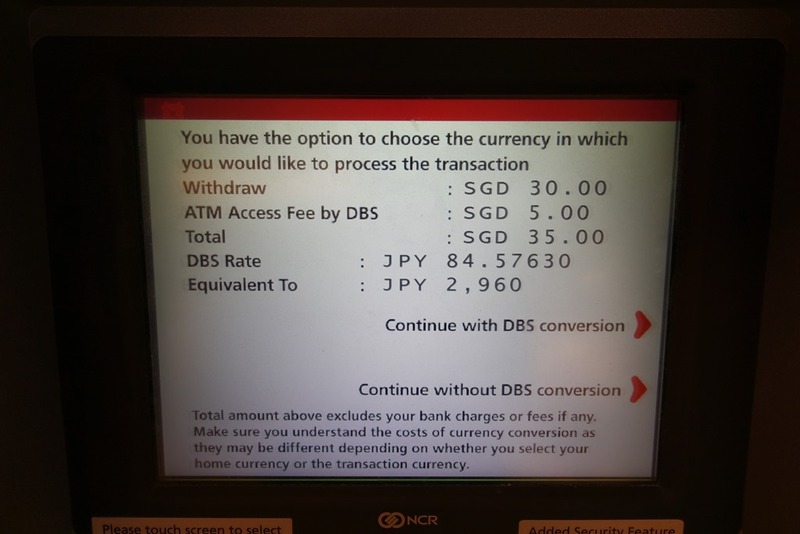 3.25ドルのATM手数料が発生するって話。宜しければ、Yes, I accept the fee. 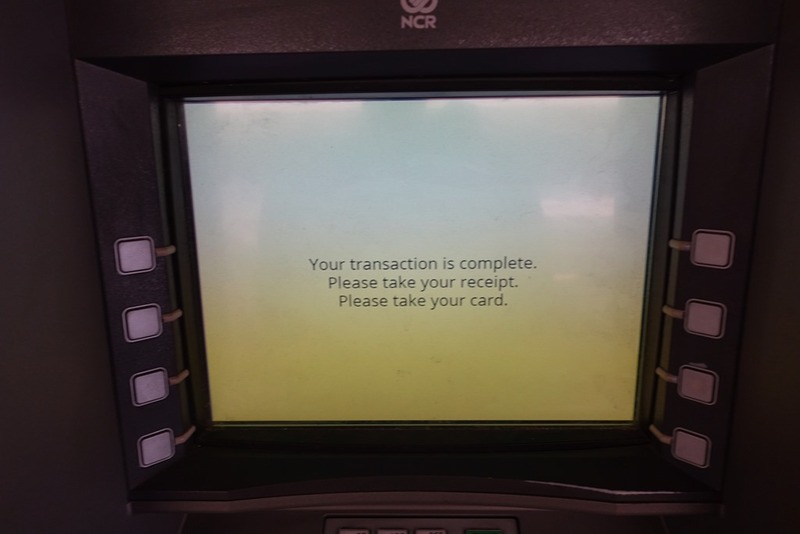 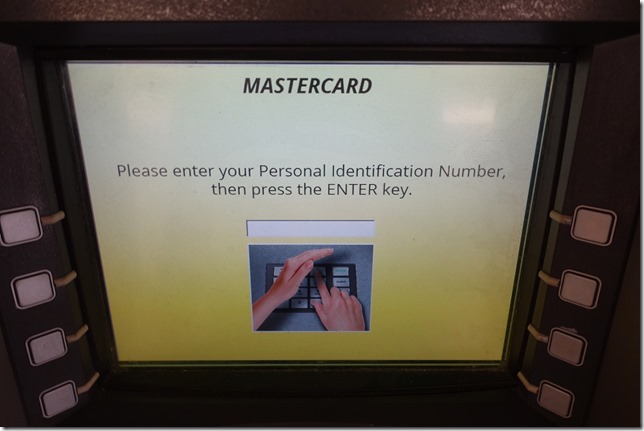 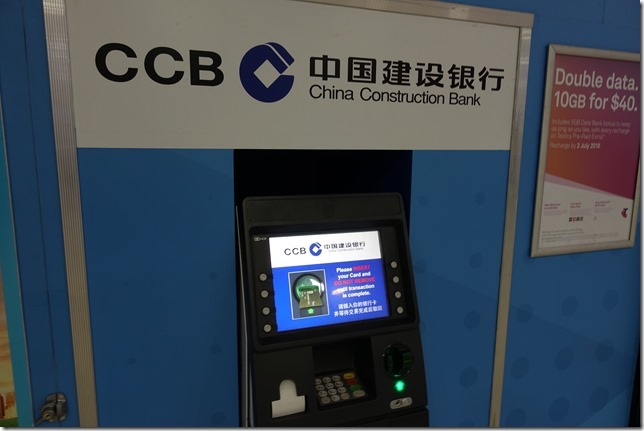 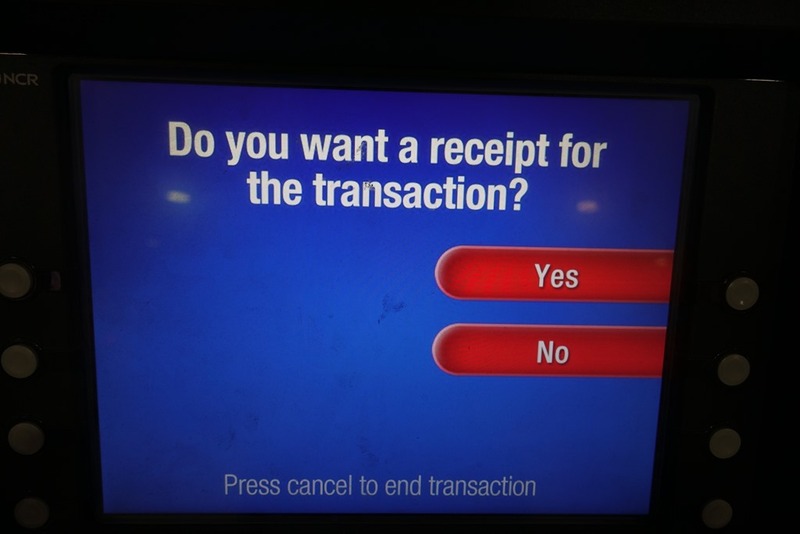 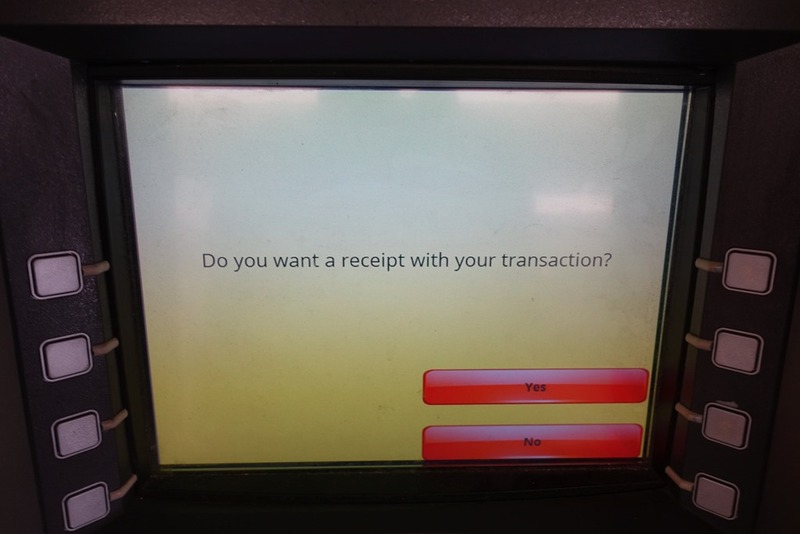 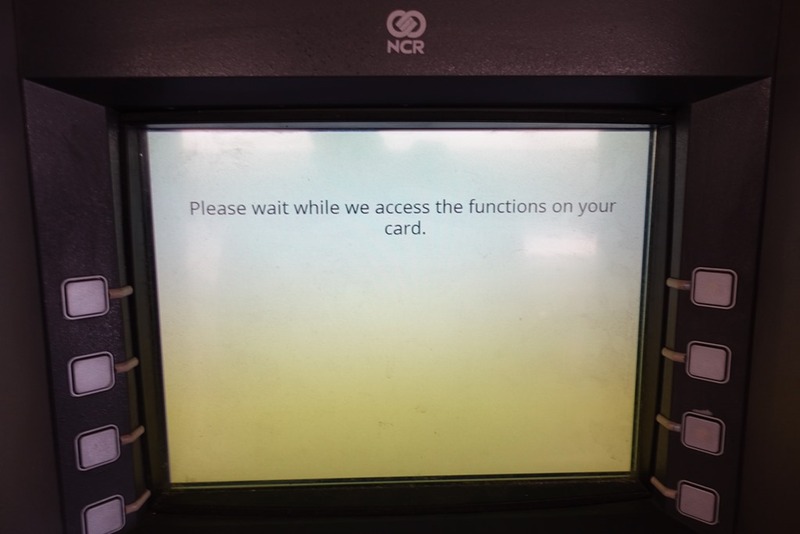 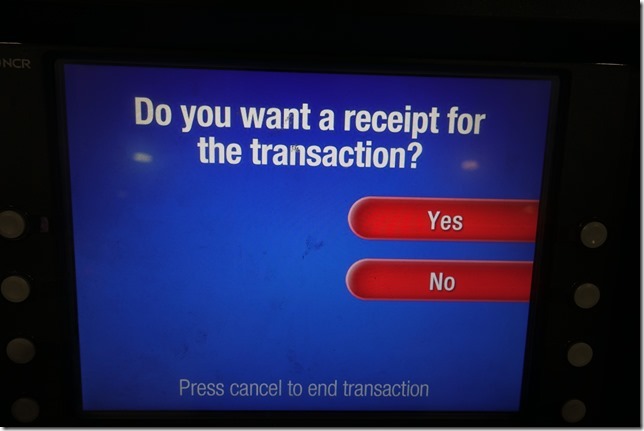 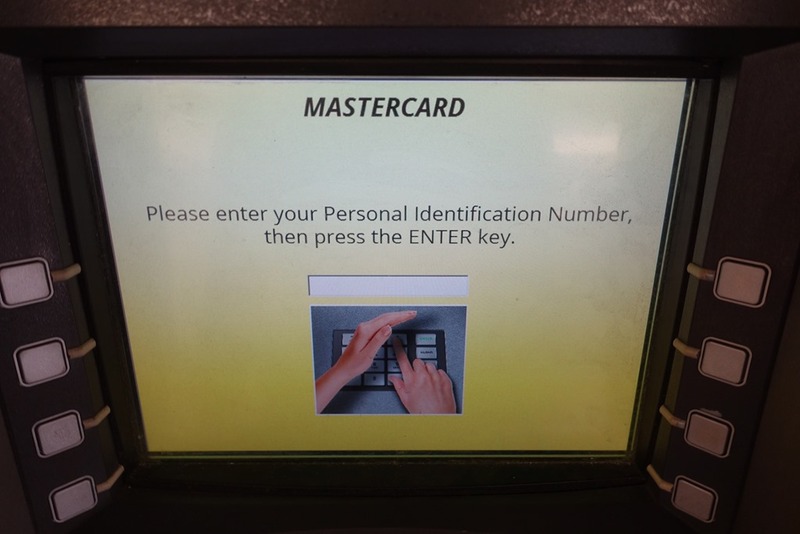 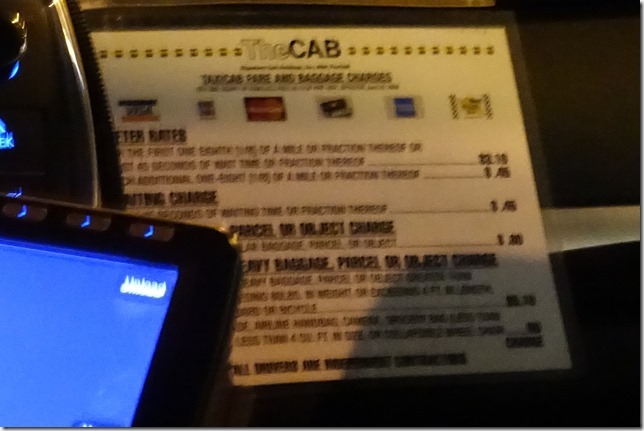 Your transaction is complete. 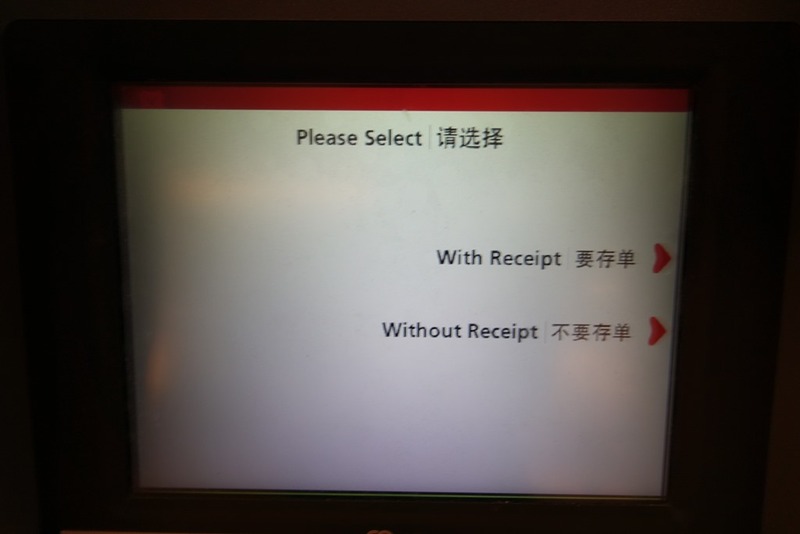 Please take your receipt. 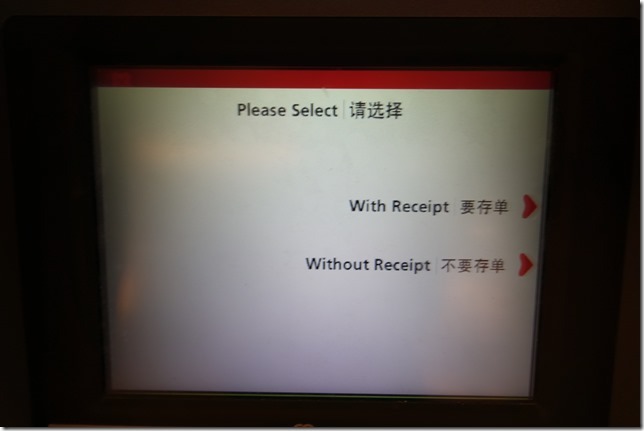 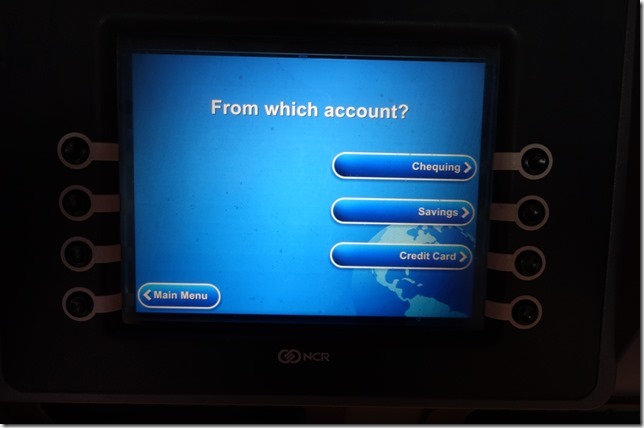 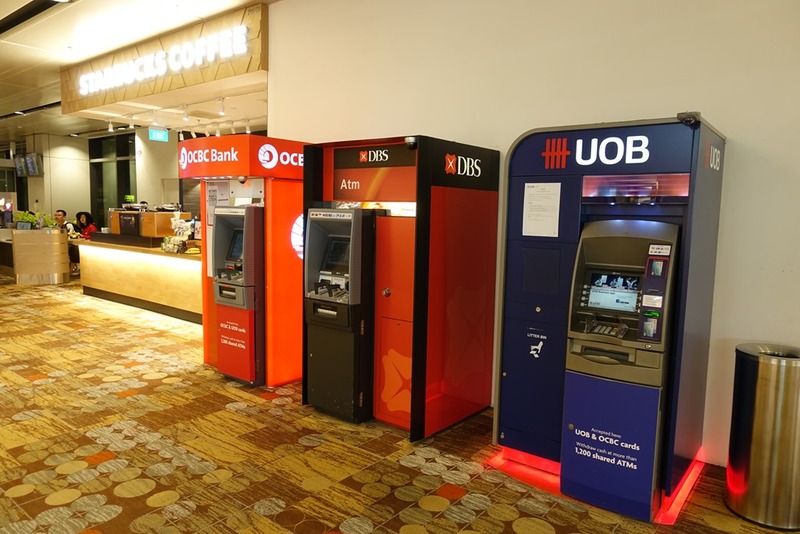 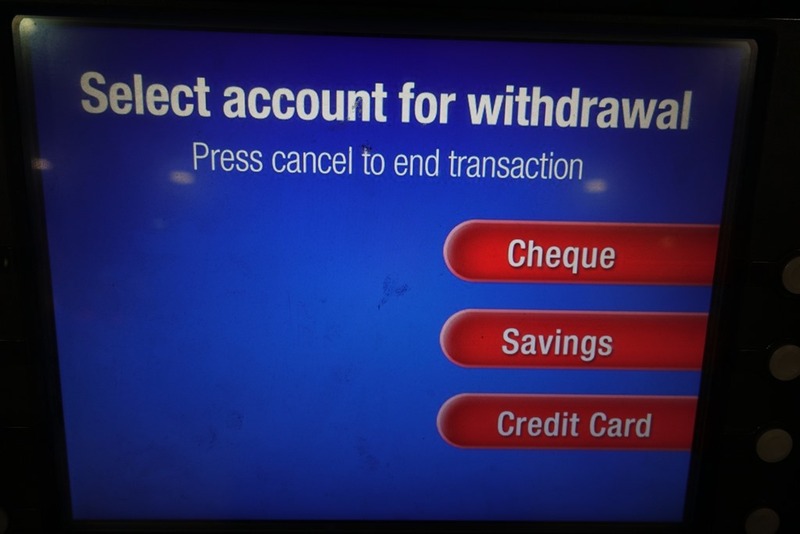 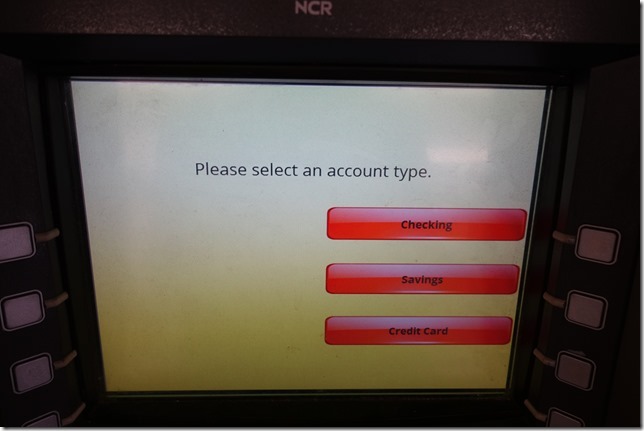 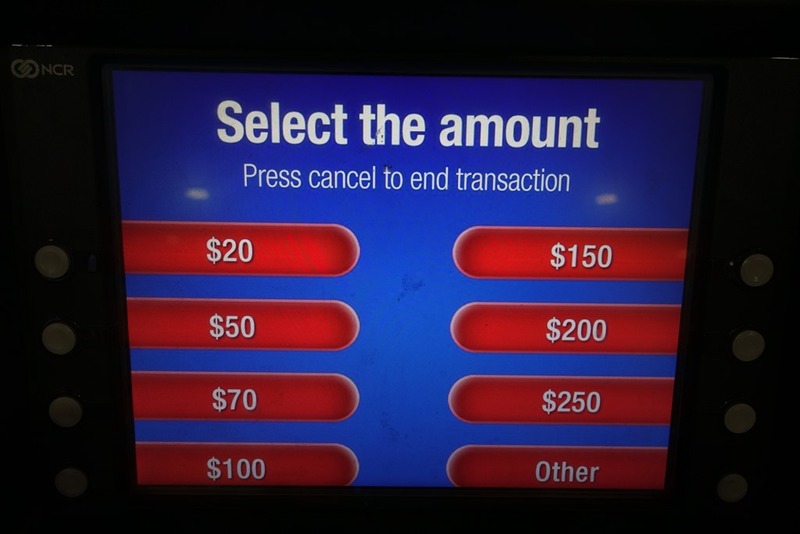 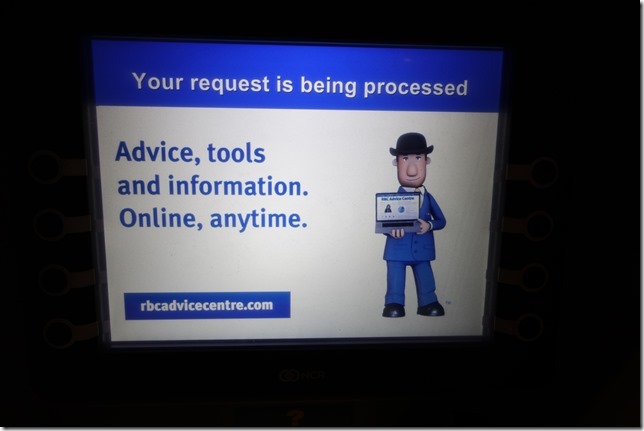 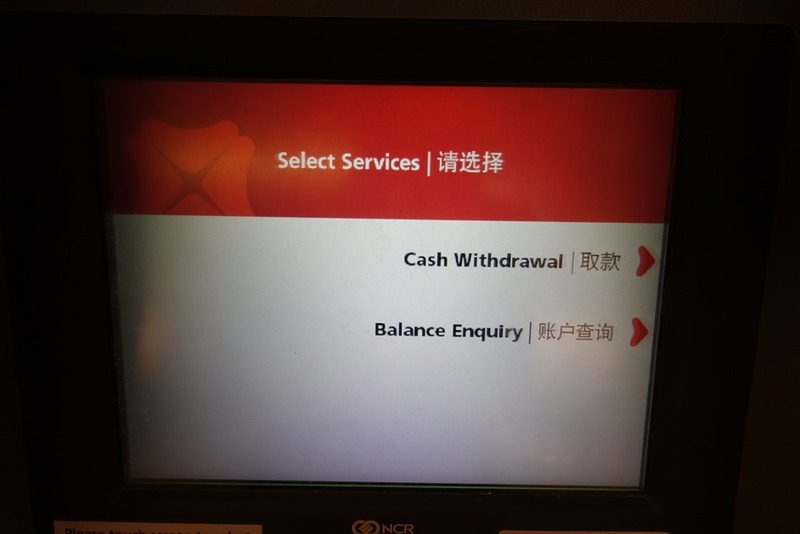 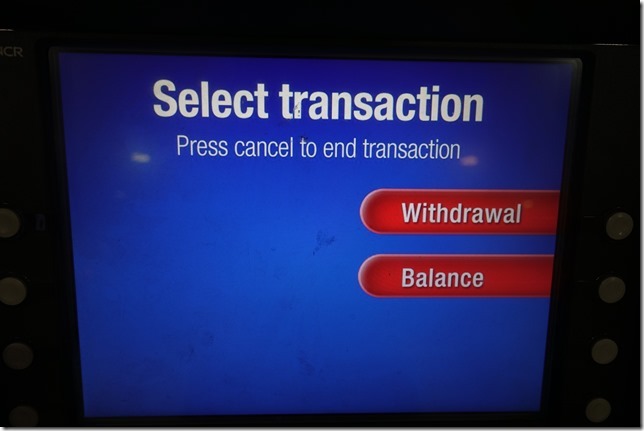 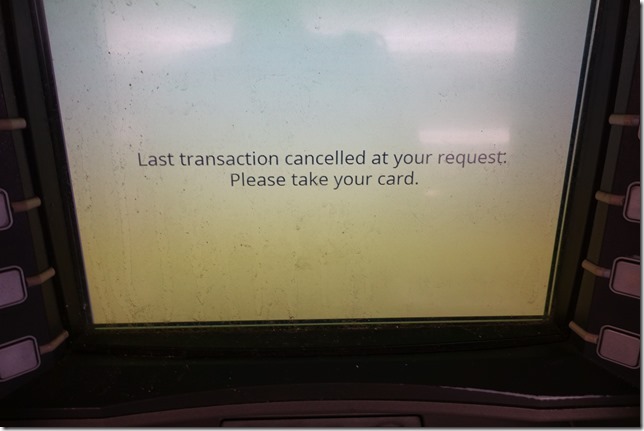 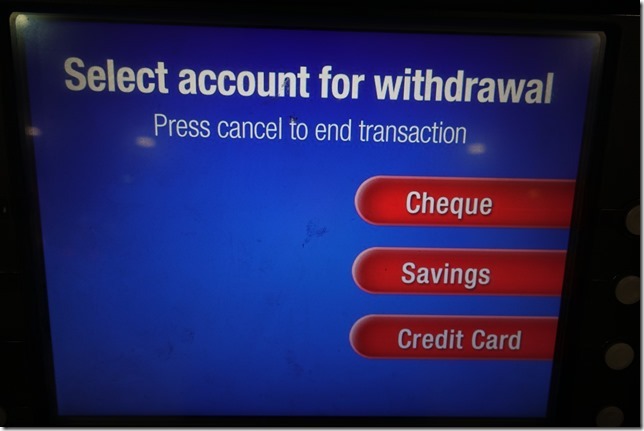 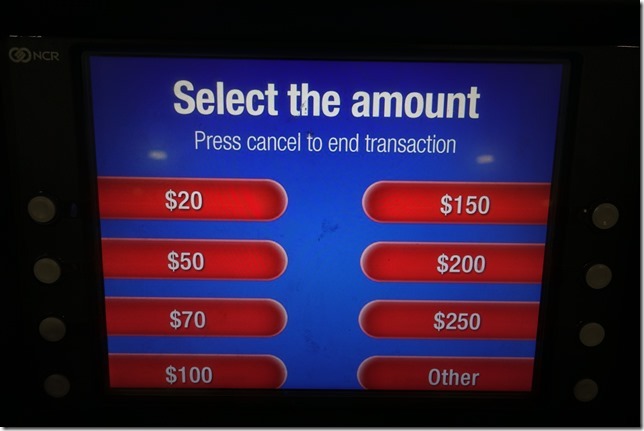 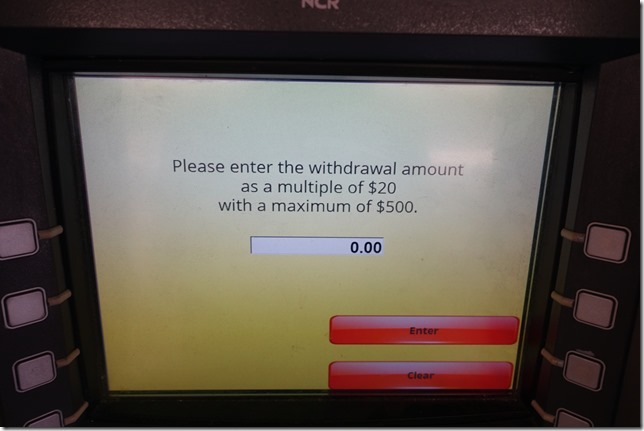 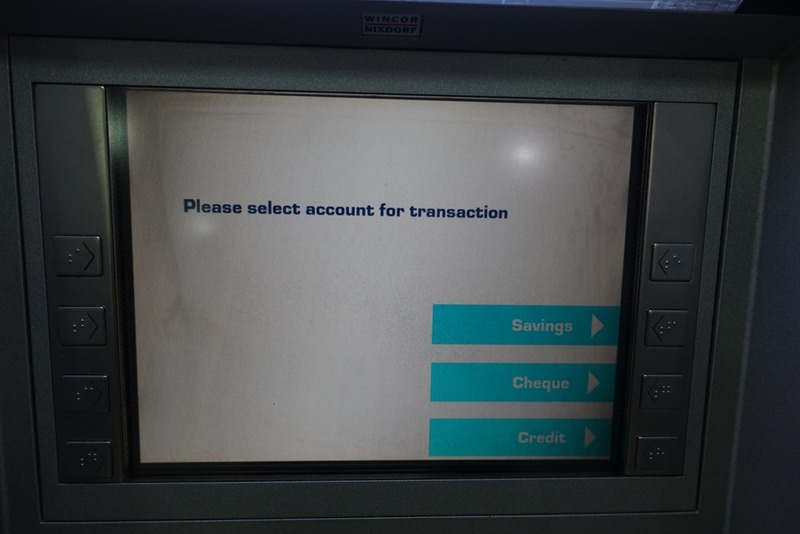 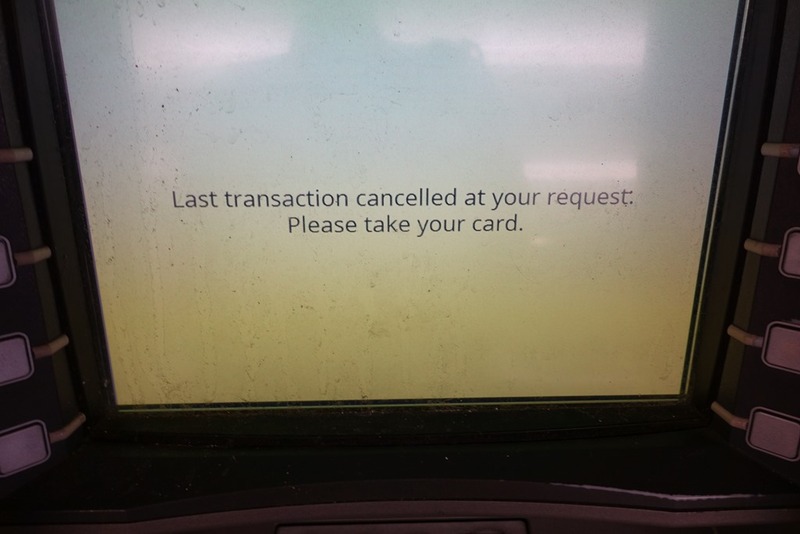 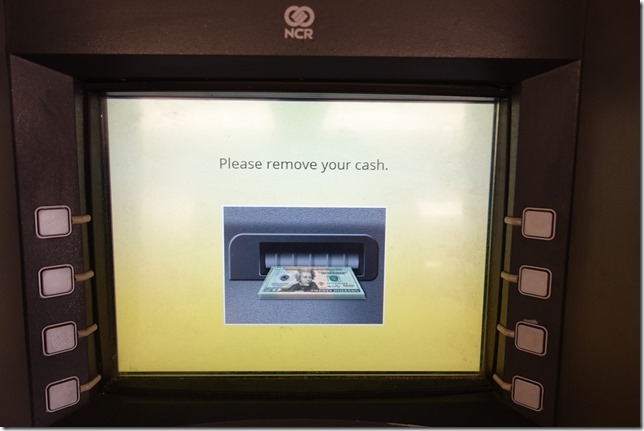 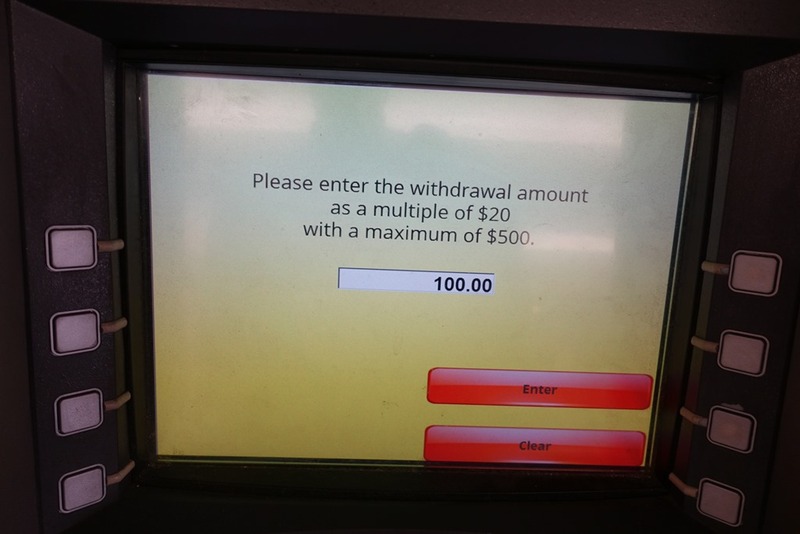 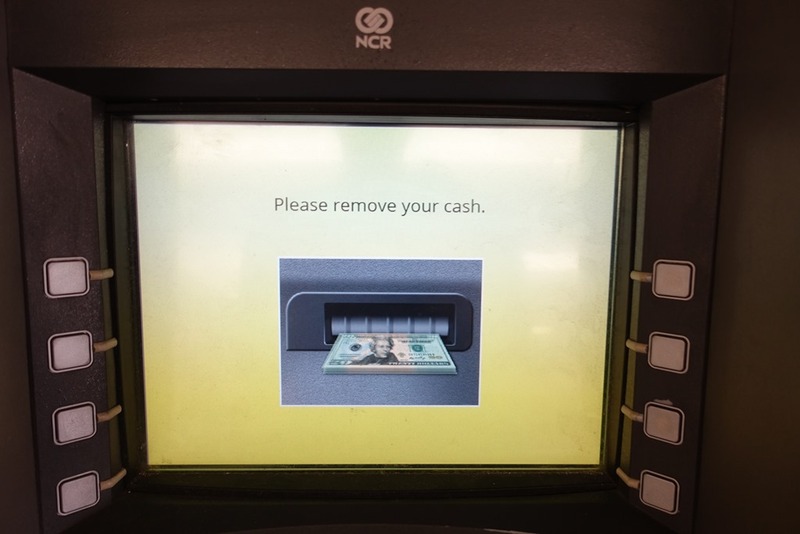 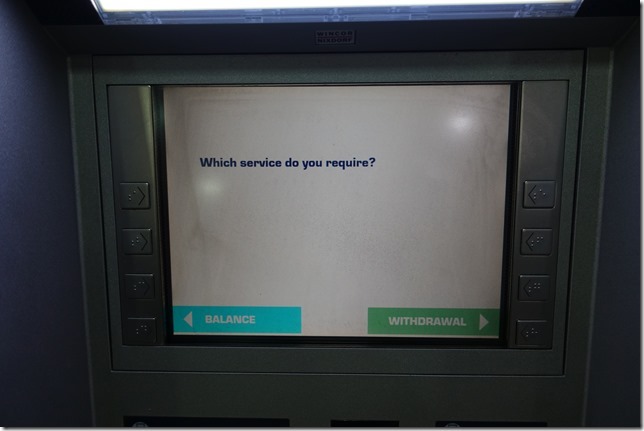 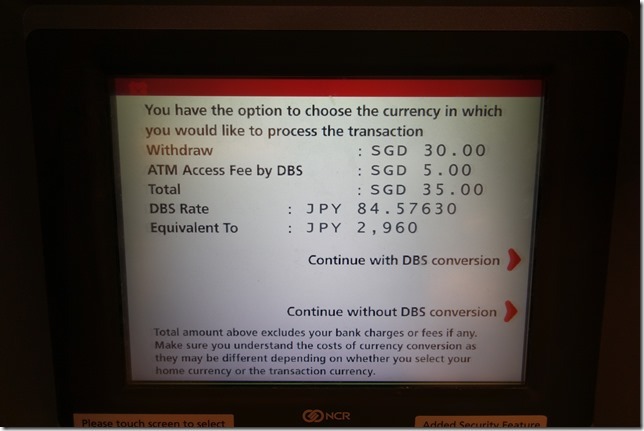 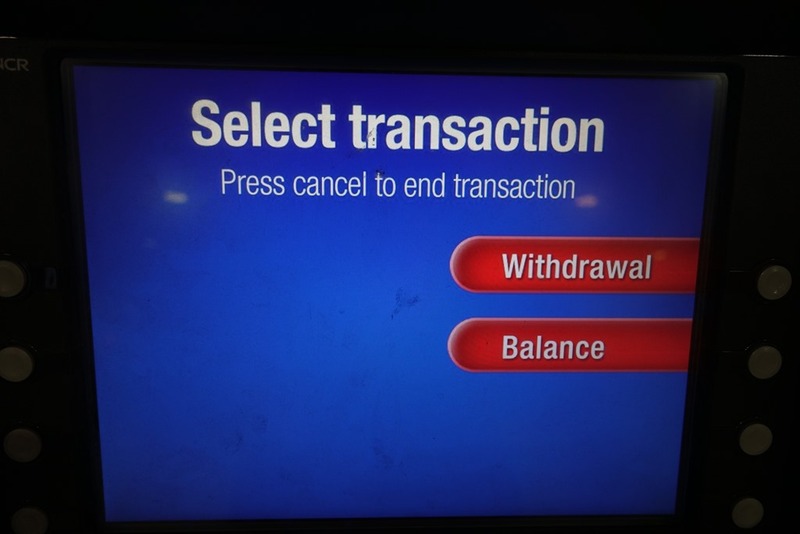 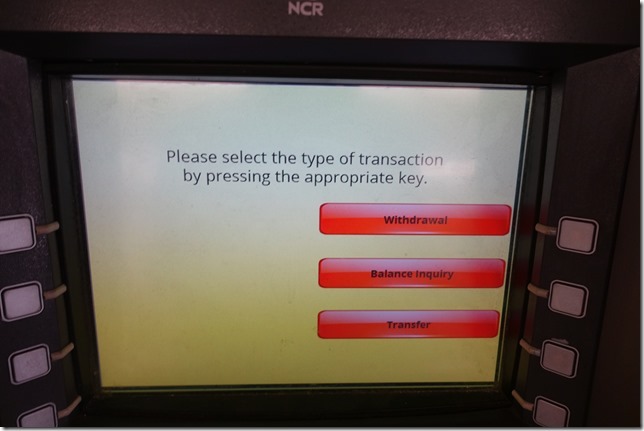 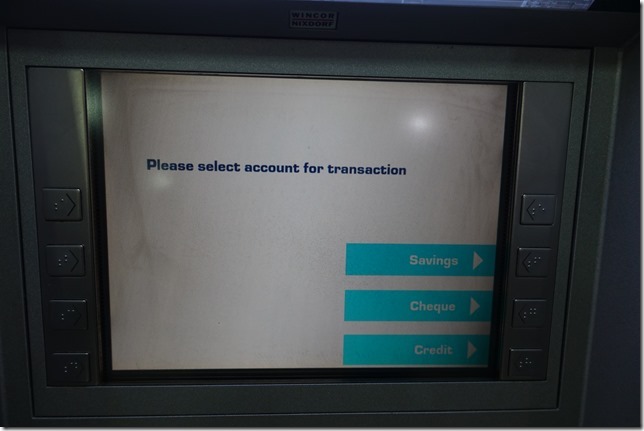 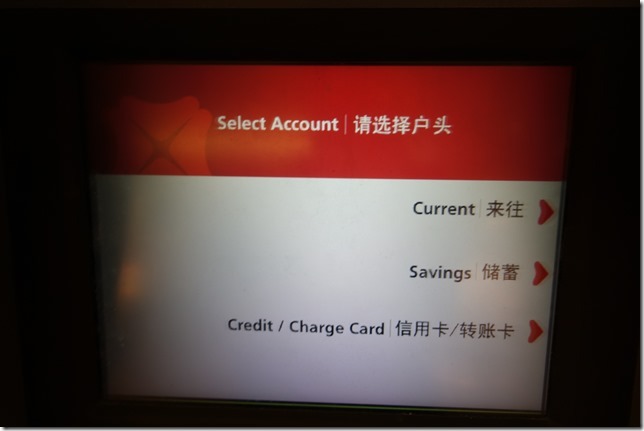 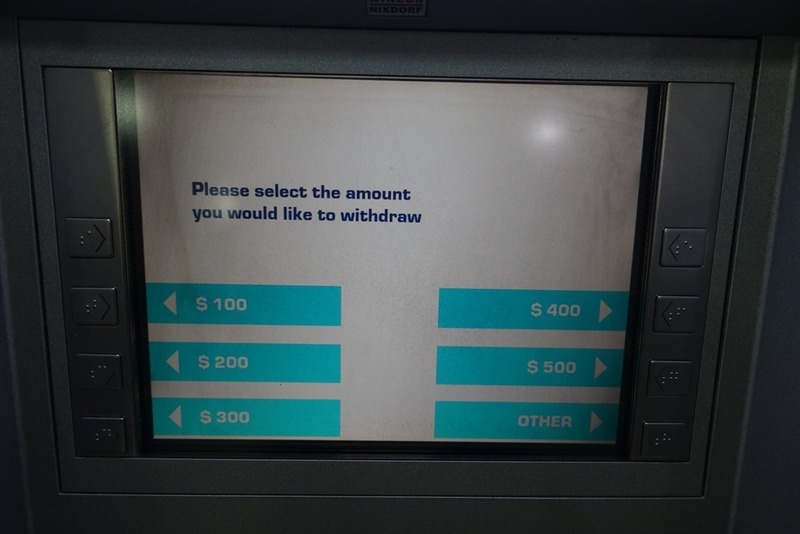 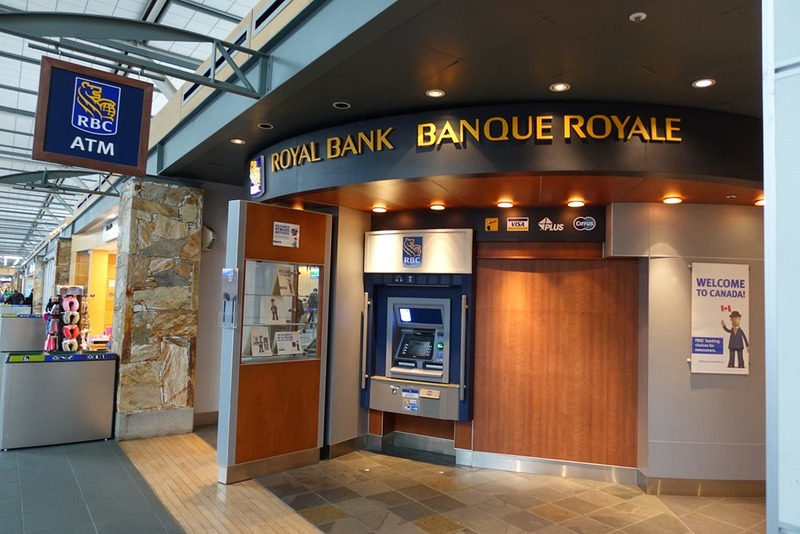 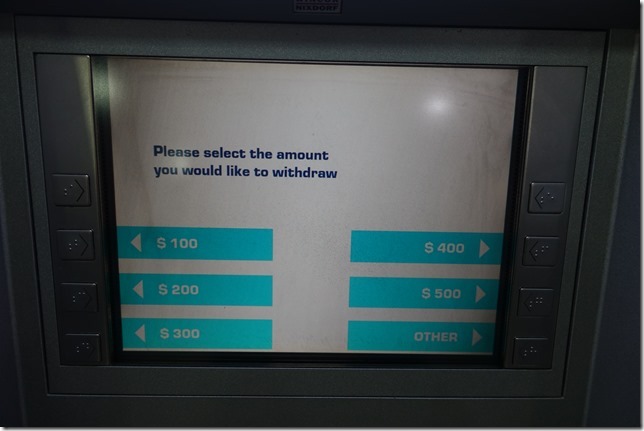 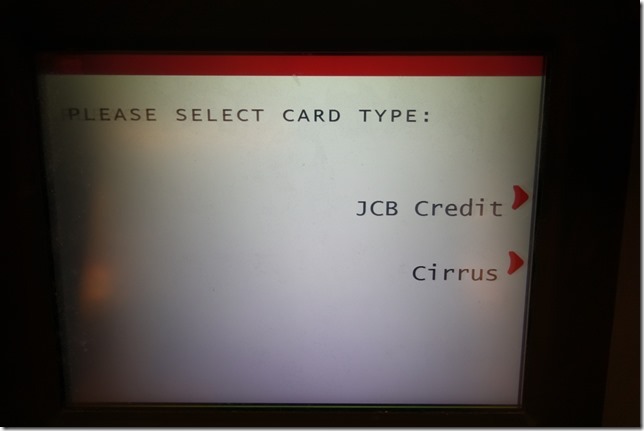 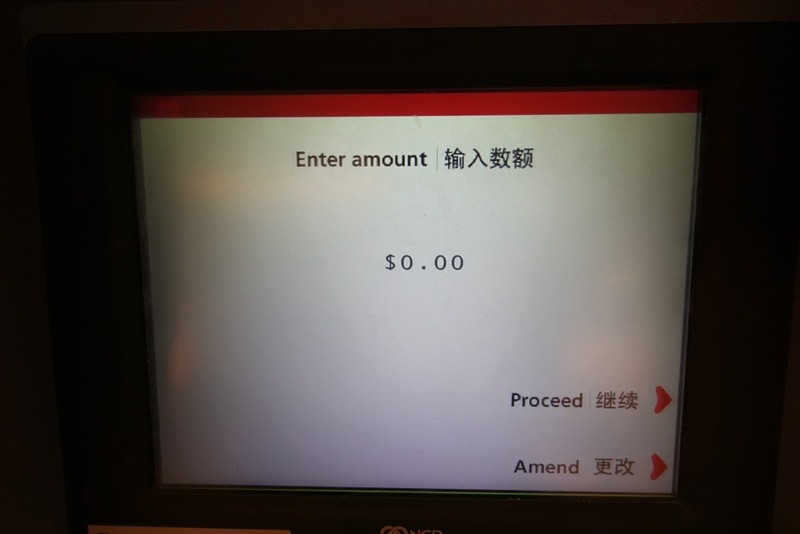 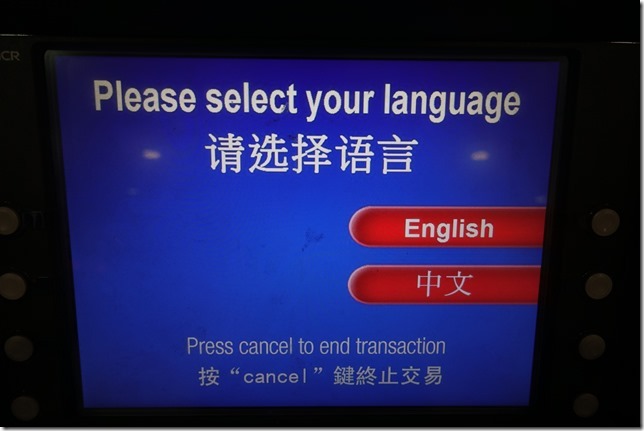 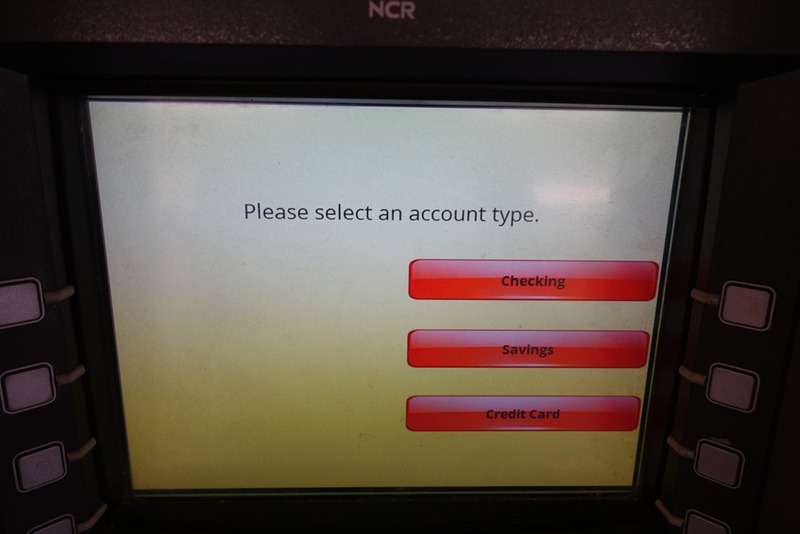 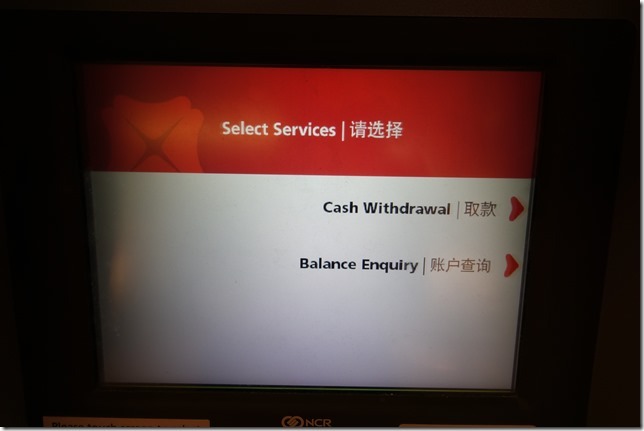 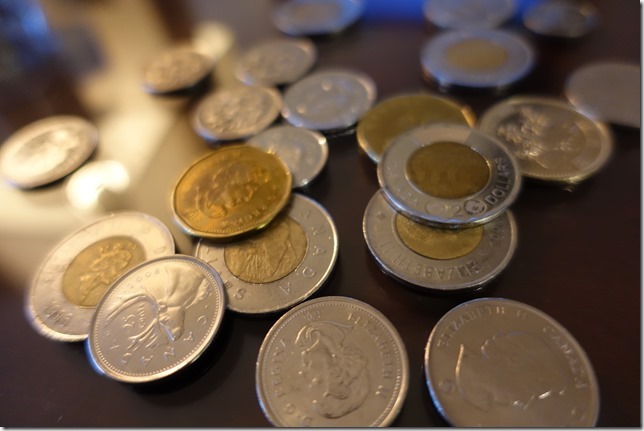 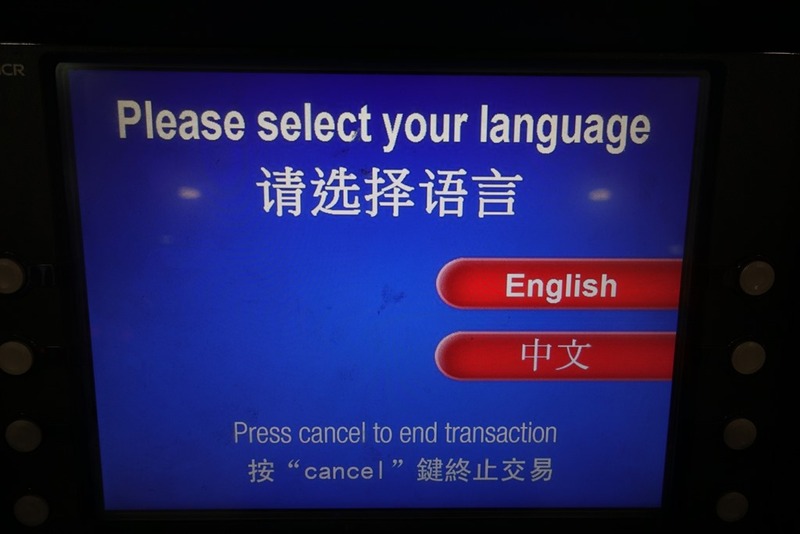 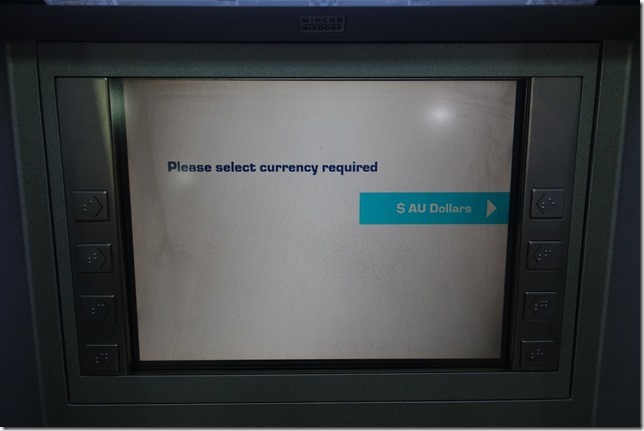 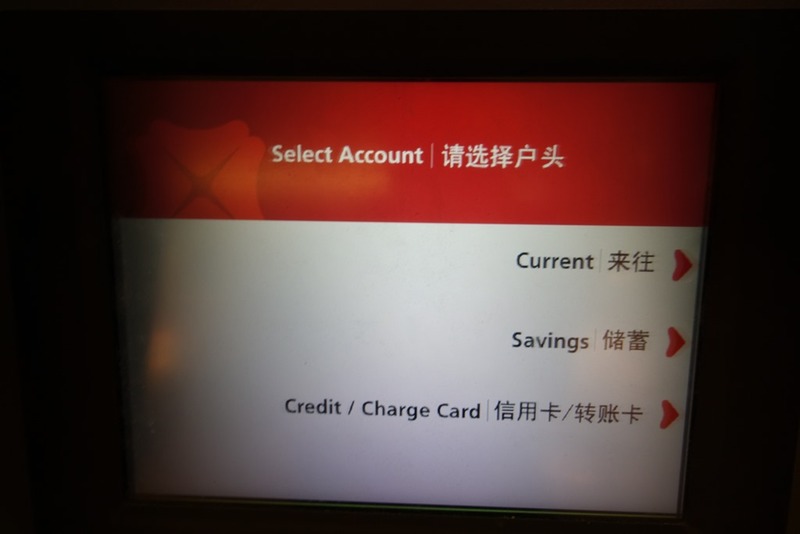 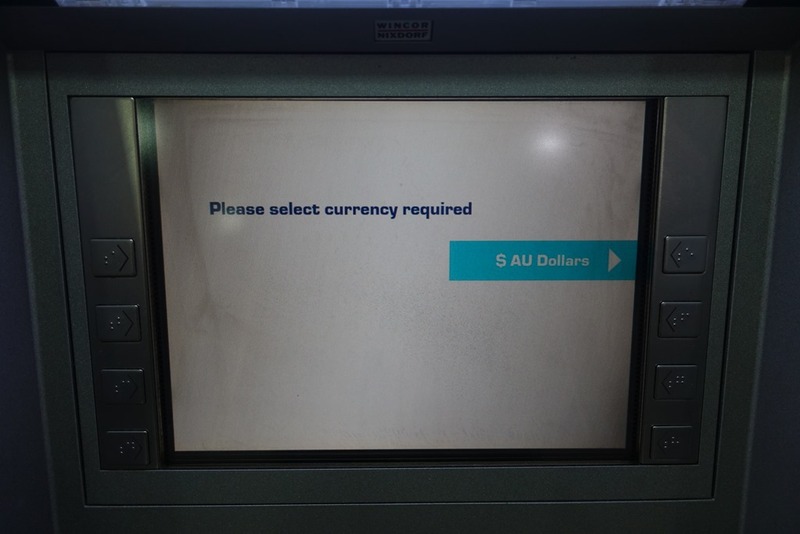 Please select the amount you would like to withdraw.